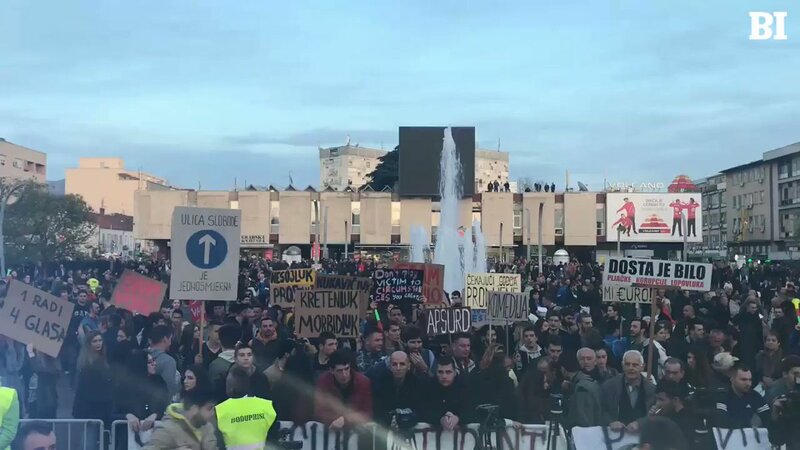 Anti-govt protest march has reached Montenegro's parliament in Podgorica, where they're calling for resignations and justice. 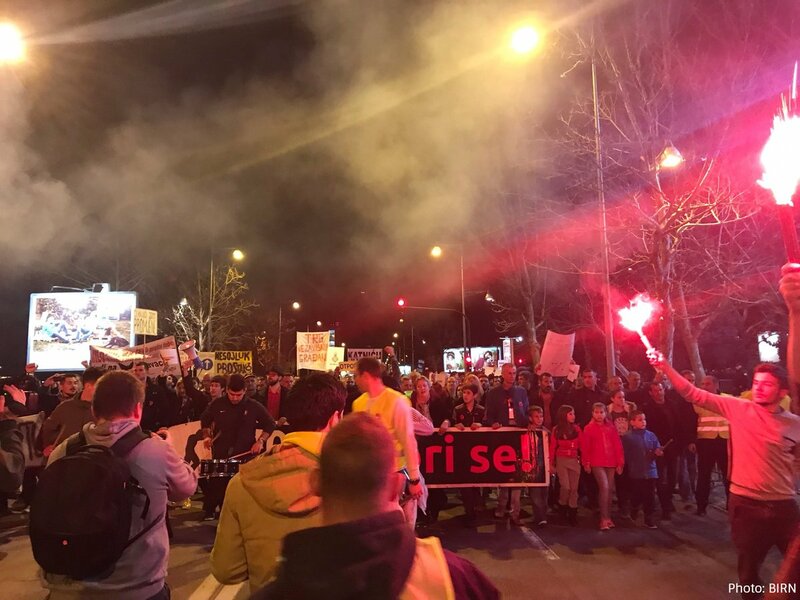 Demonstrators accuse President Djukanovic and other high officials of corruption, and are demanding they step down. 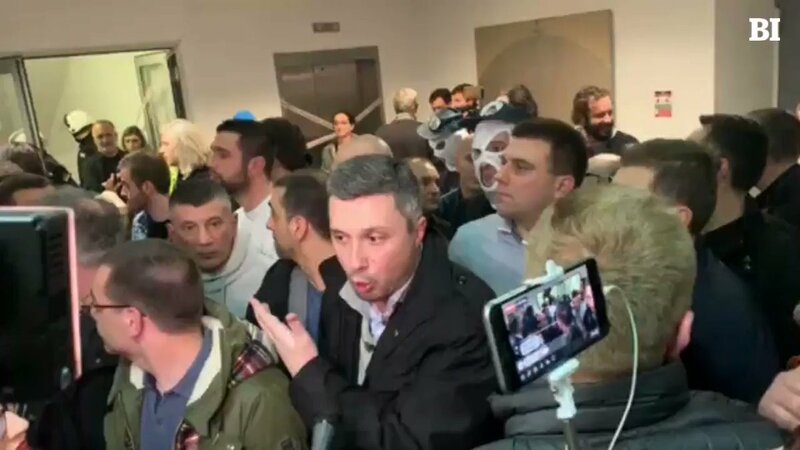 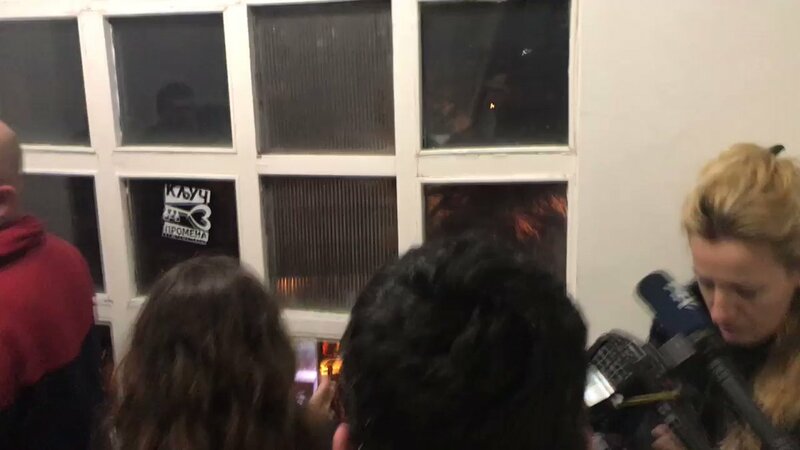 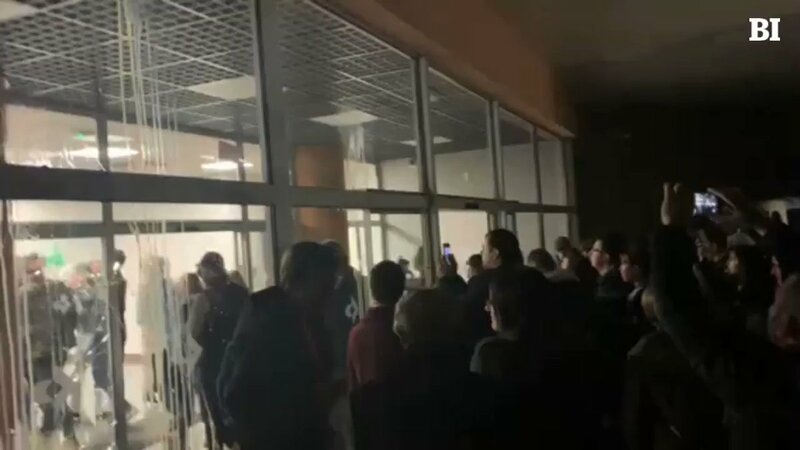 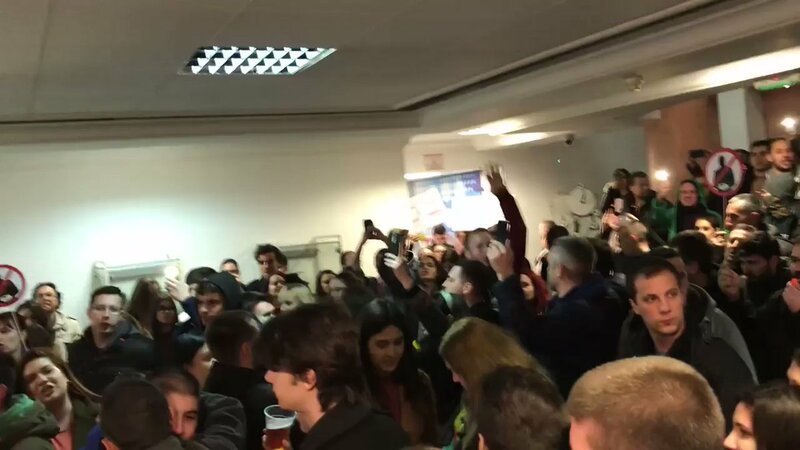 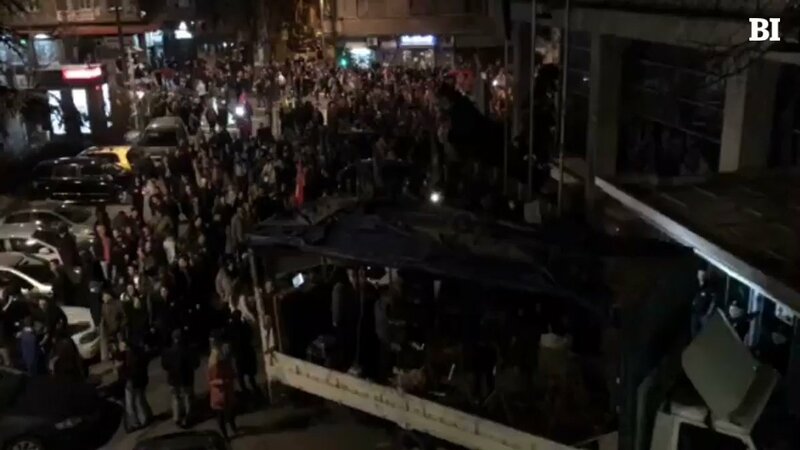 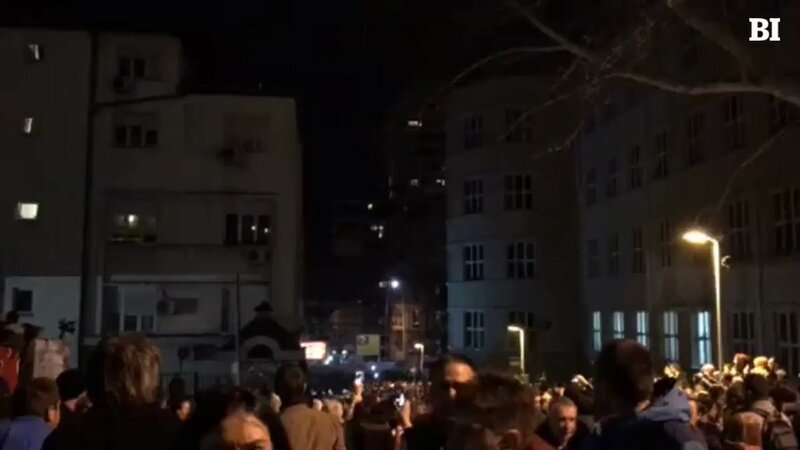 Outside Serbian public broadcaster RTS, anti-govt demonstrators throw eggs at the building during tonight's #1od5miliona rally. 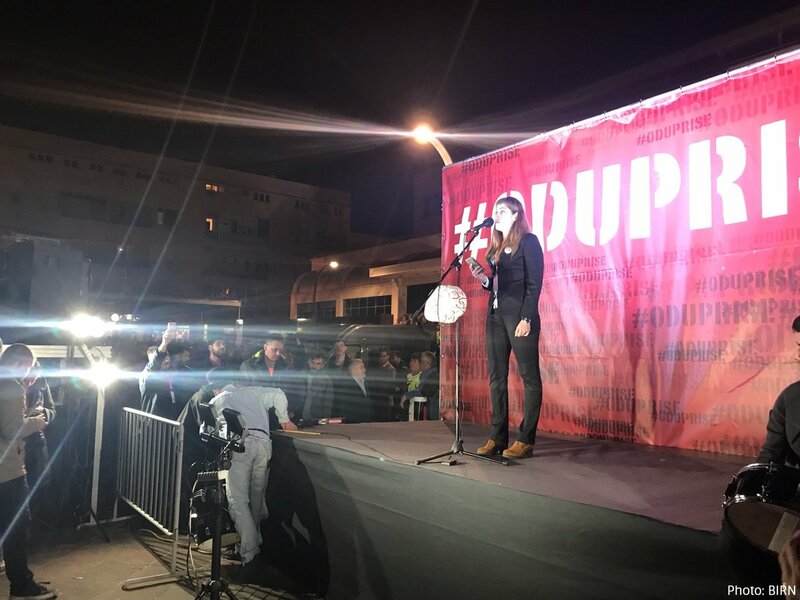 A student named Teodora addresses the crowd of anti-govt protesters in Podgorica, Montenegro, saying they "won't be silenced anymore". 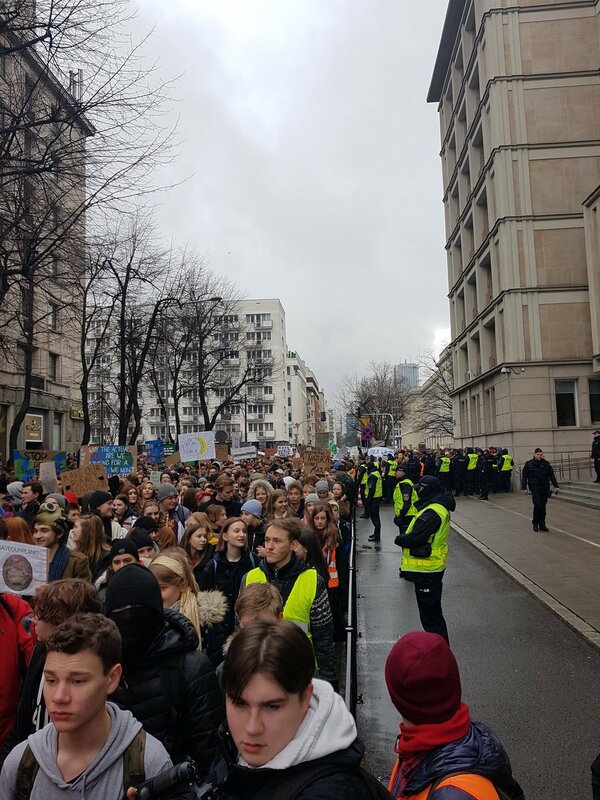 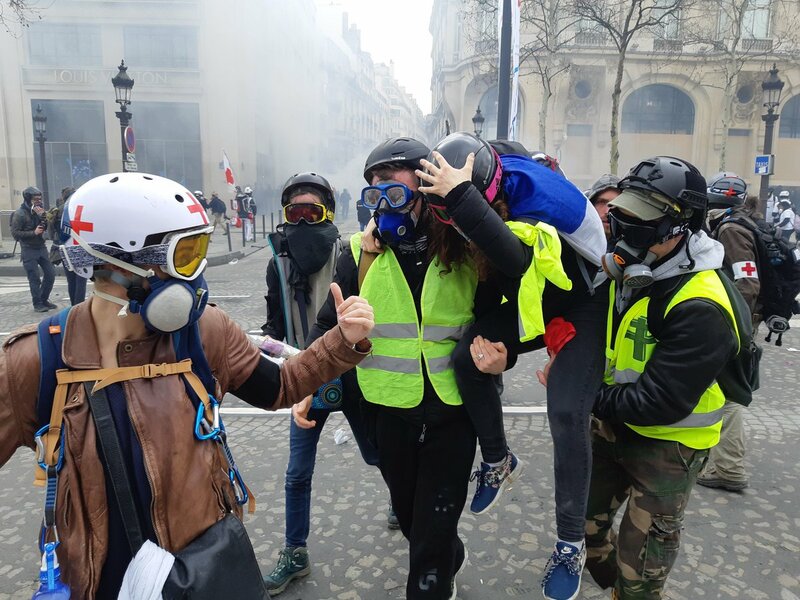 "We won't let someone intimidate, threaten or stop us from protesting," she said. 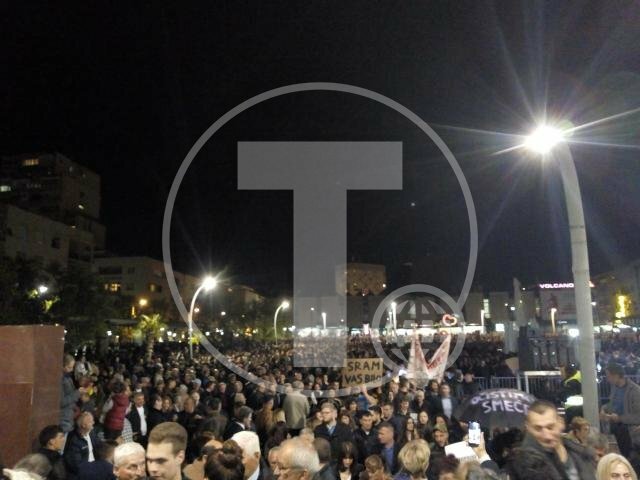 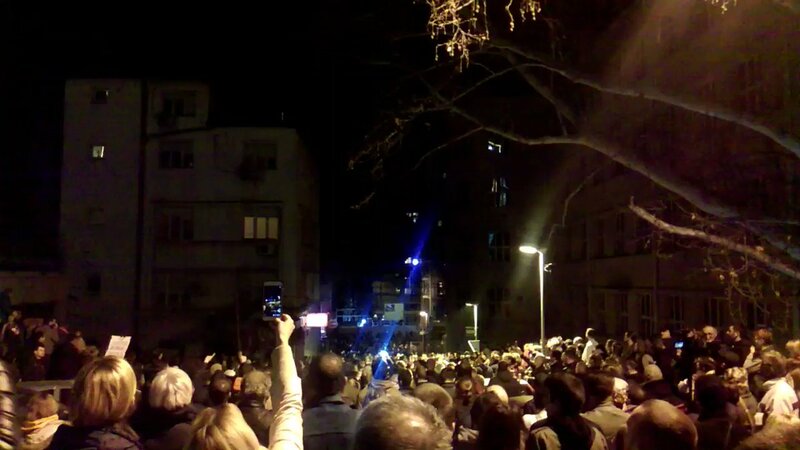 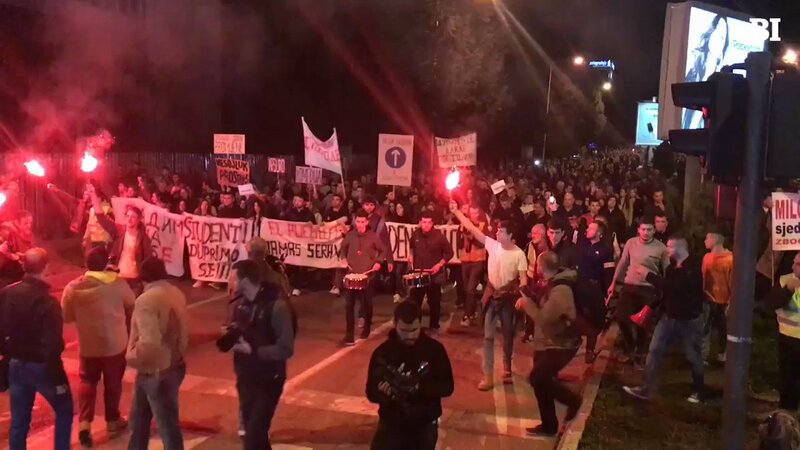 1000s of protesters have descended on Podgorica, Montenegro, for tonight's anti-govt rally. 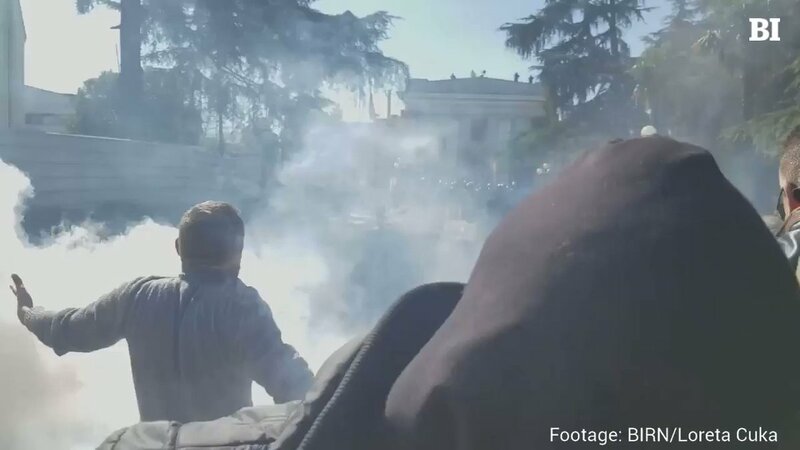 They're calling for resignations of President Djukanovic and other high officials over alleged corruption. 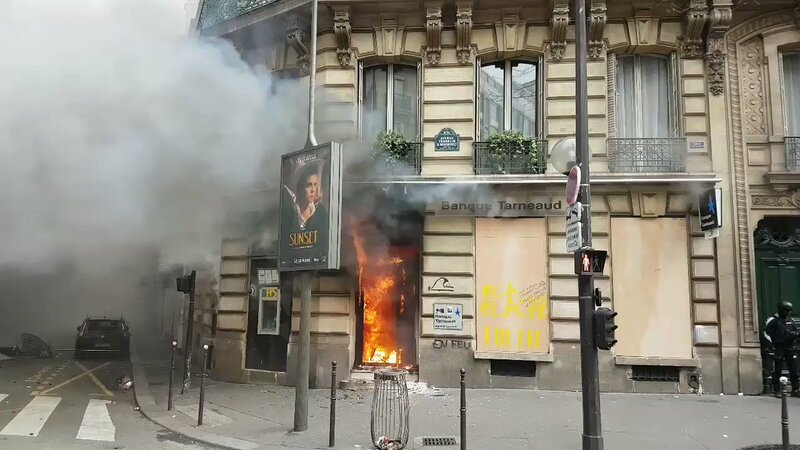 The Fouquets, Etam, Samsung, Longchamps, banking agencies, Afflelou, restaurants. 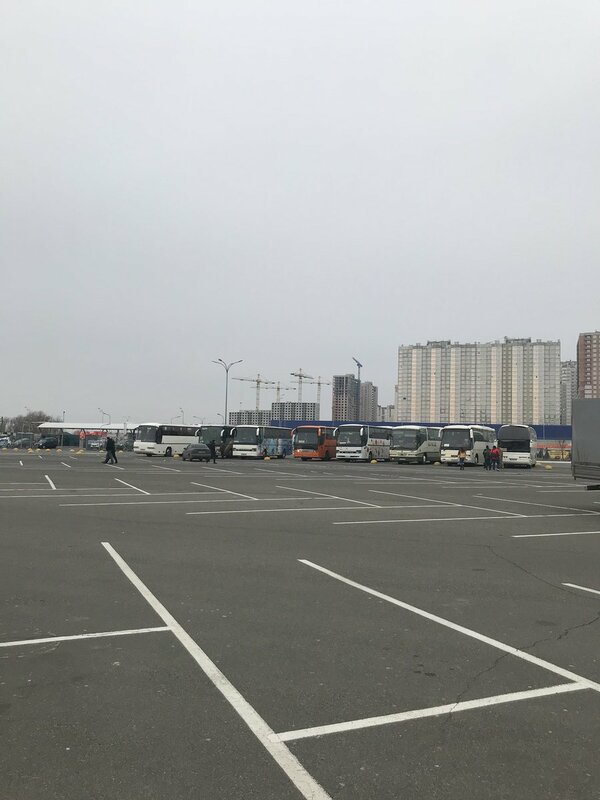 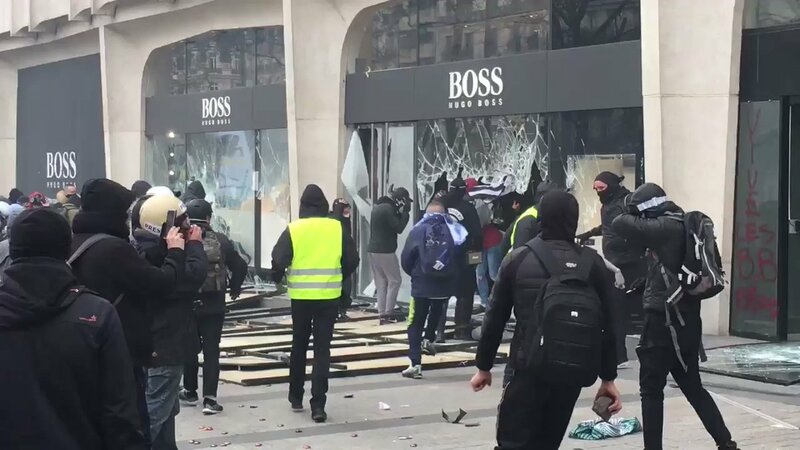 Champs shops were the main target of the anger of the Yellow Vests. 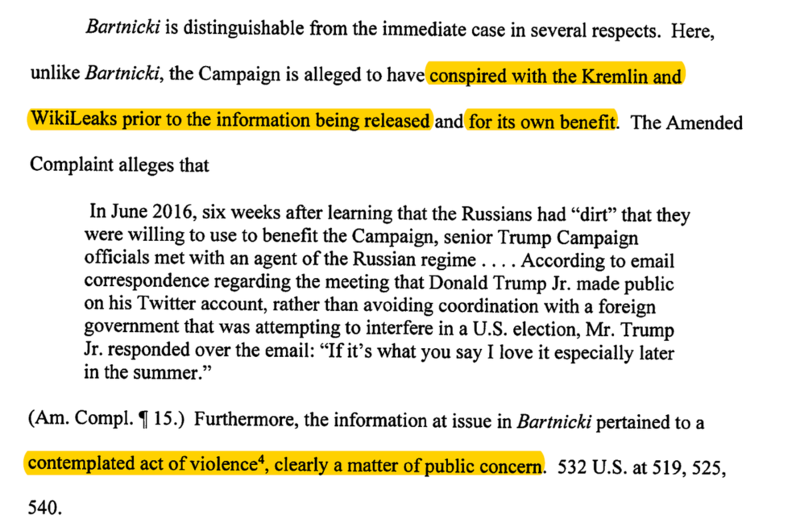 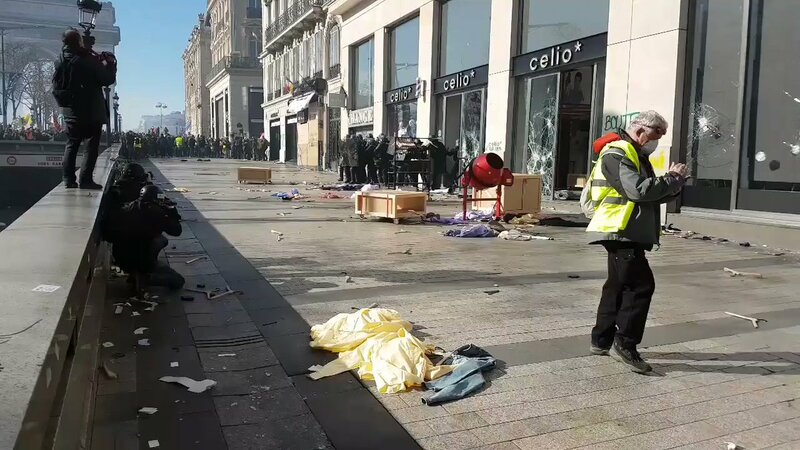 The destruction is remarkable. 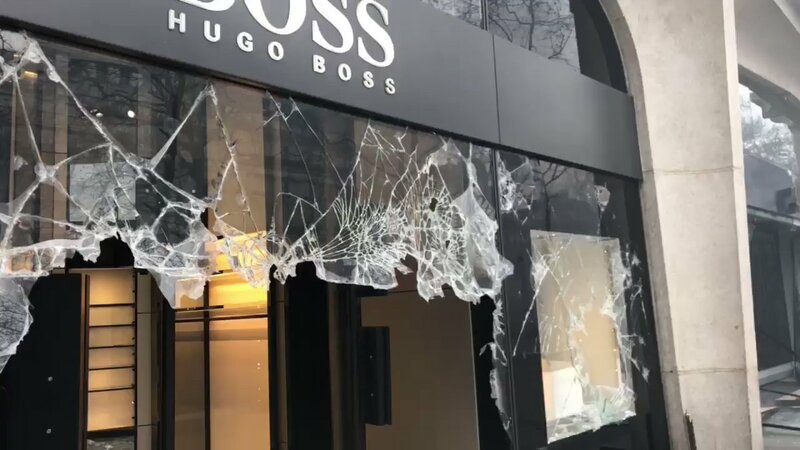 BVLGARI shop on the Champs-Élysées is currently being targeted. 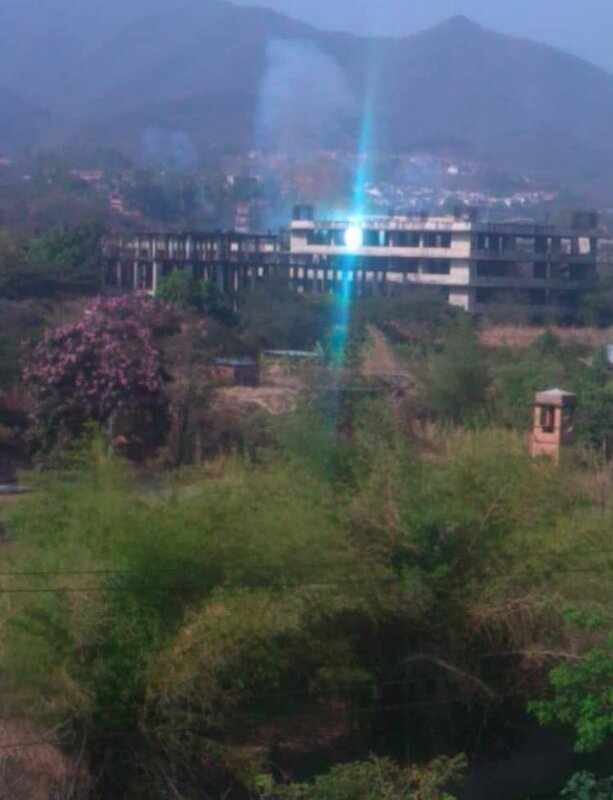 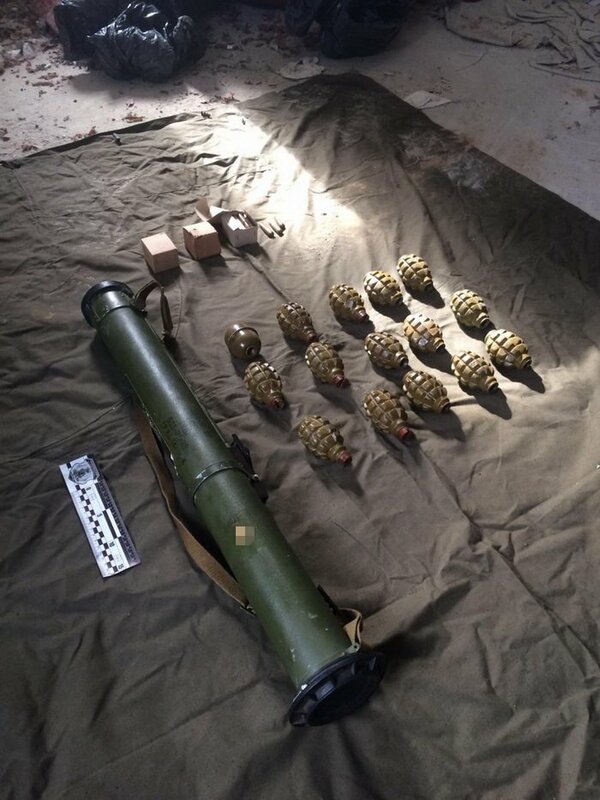 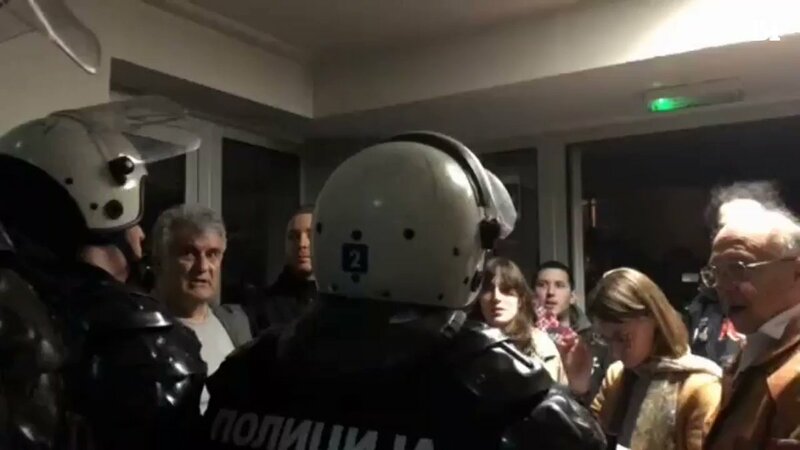 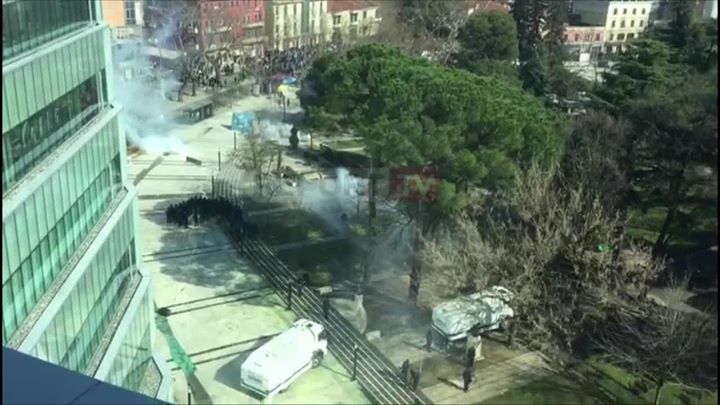 The police forces intervene. 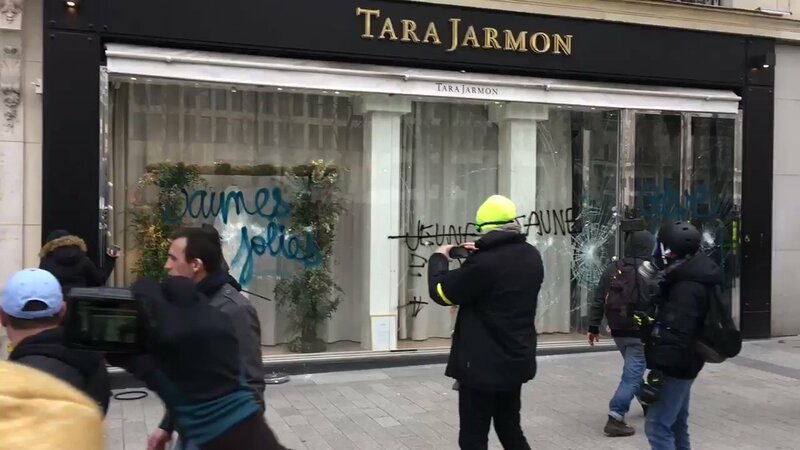 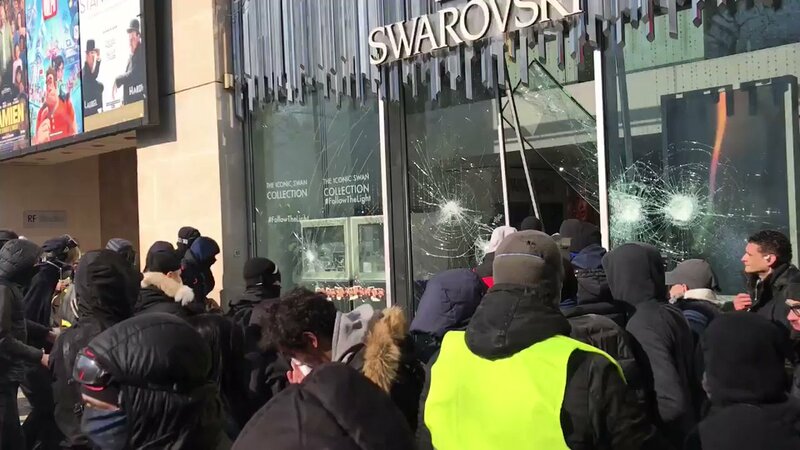 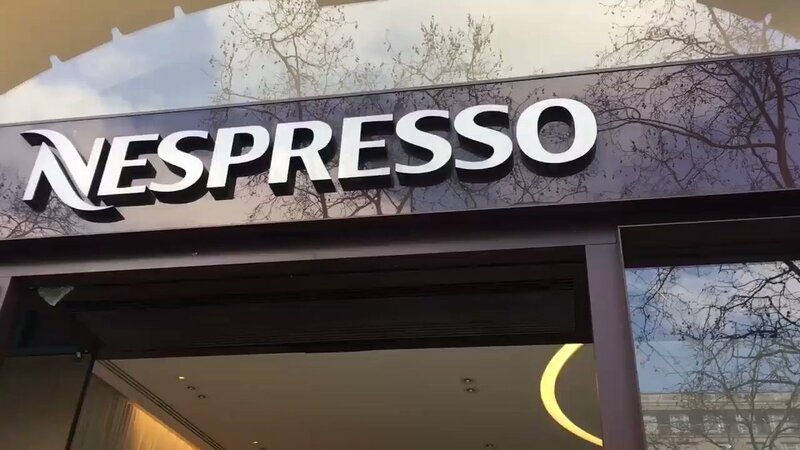 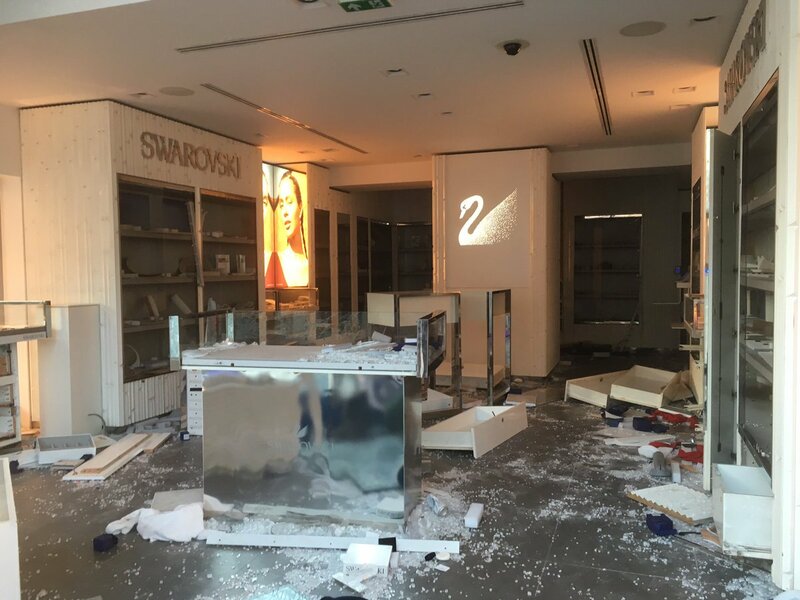 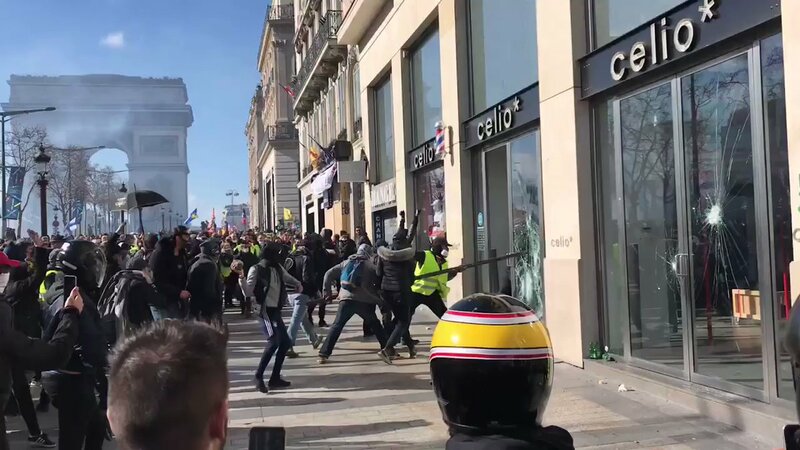 On the Champs-Elysées, the looting scenes continue as in this shop "Swarovski"
Paris: Several stores like this one have been vandalized by "Yellow Vests"
Opposition protesters in Tirana, Albania clash with police in front of Parliament during today's protest. 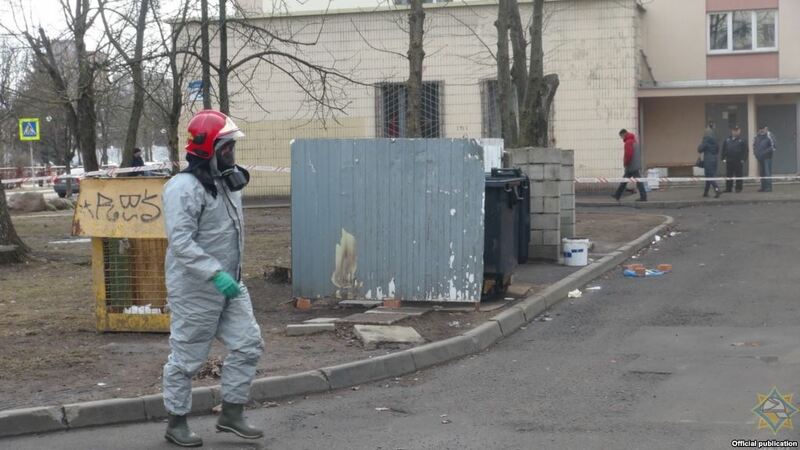 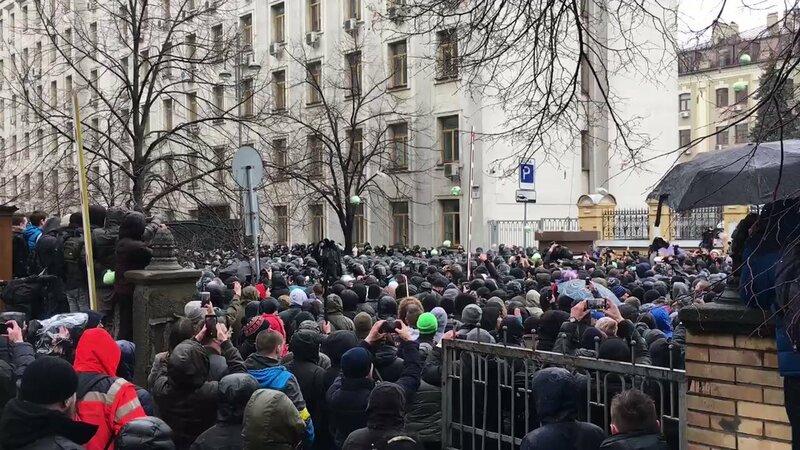 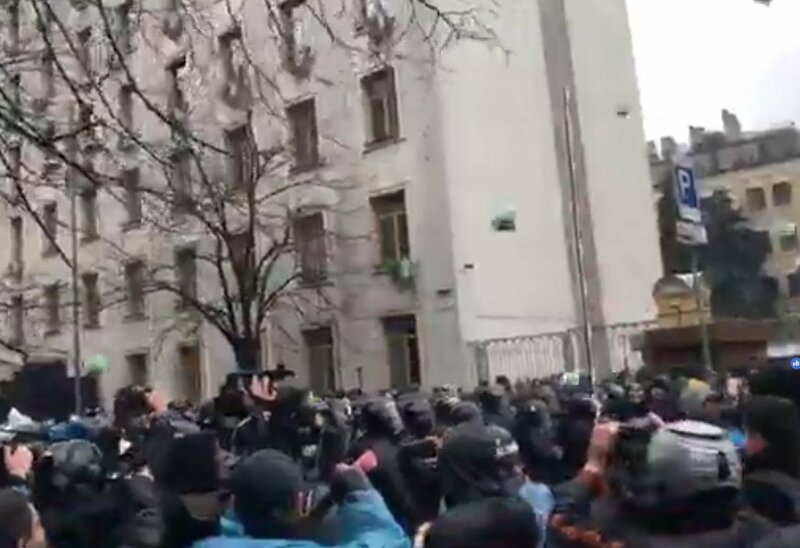 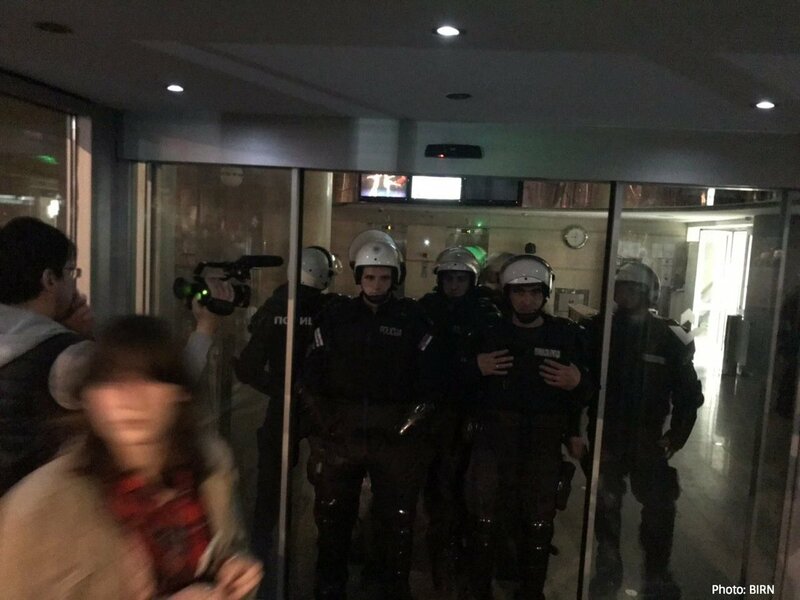 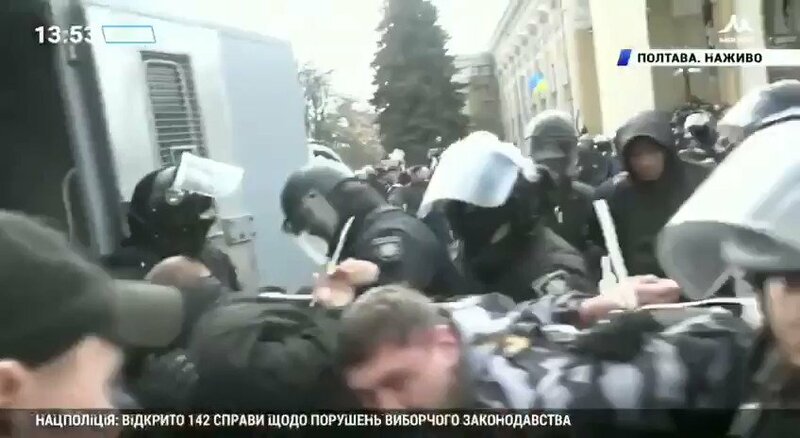 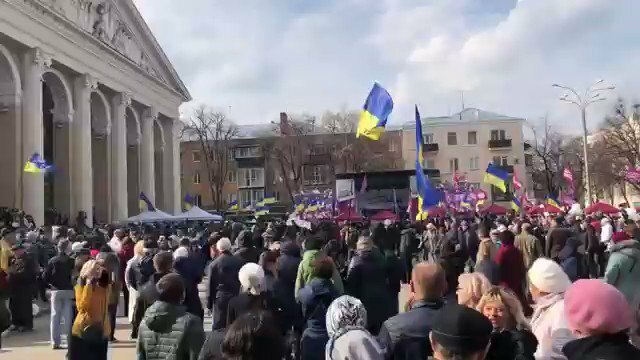 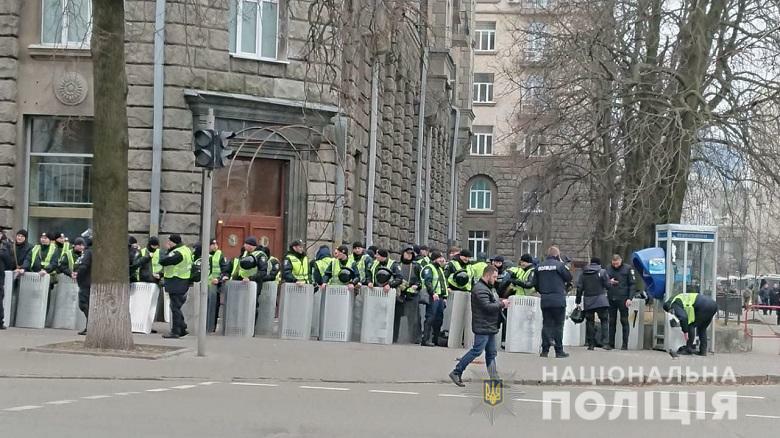 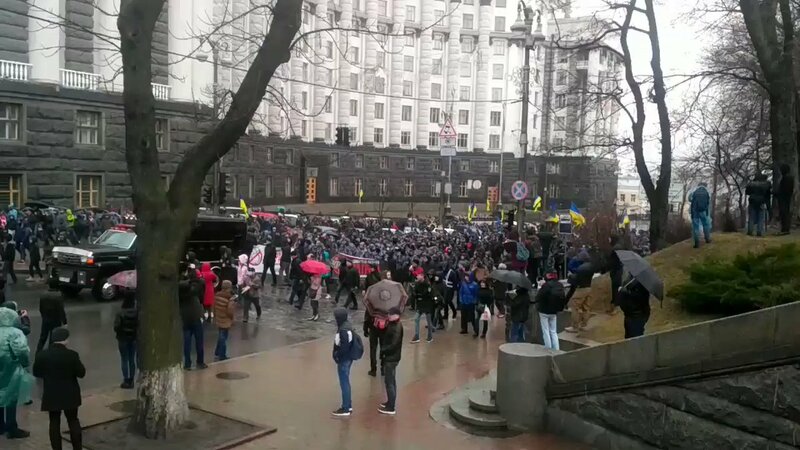 Riot police forces fired tear gas to disperse them as they tried to enter the Parliament. 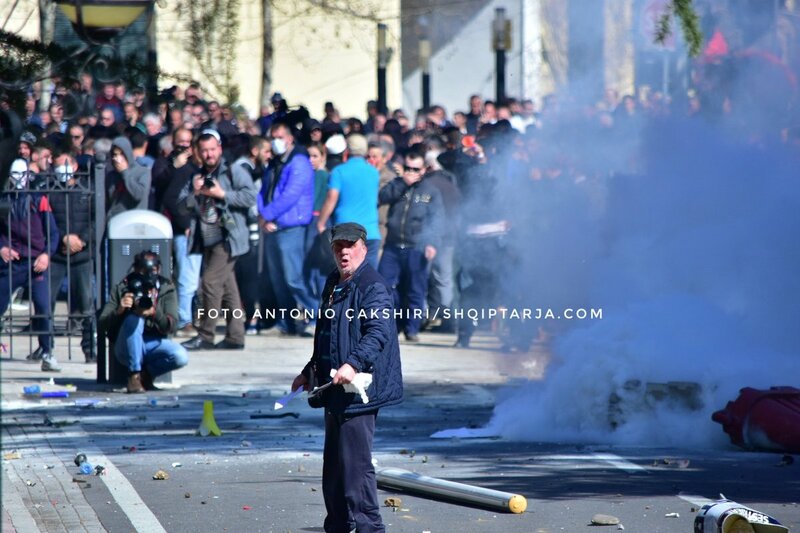 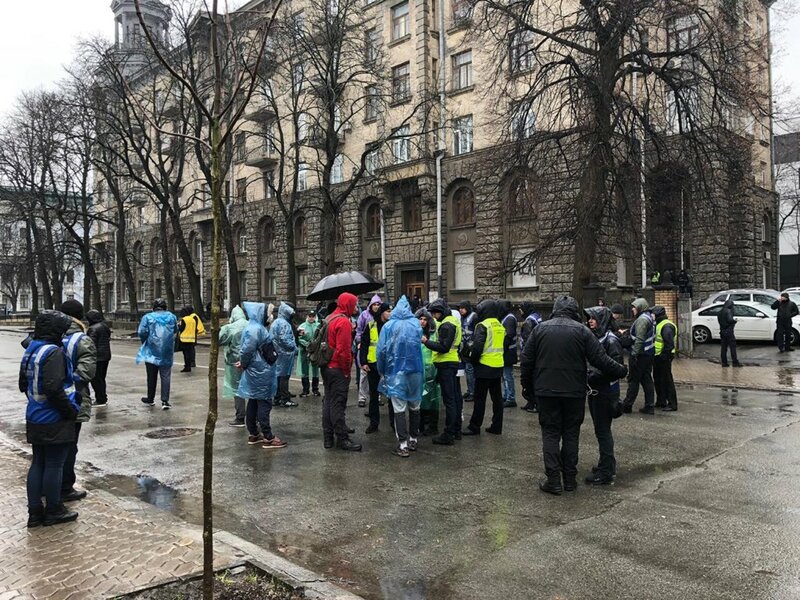 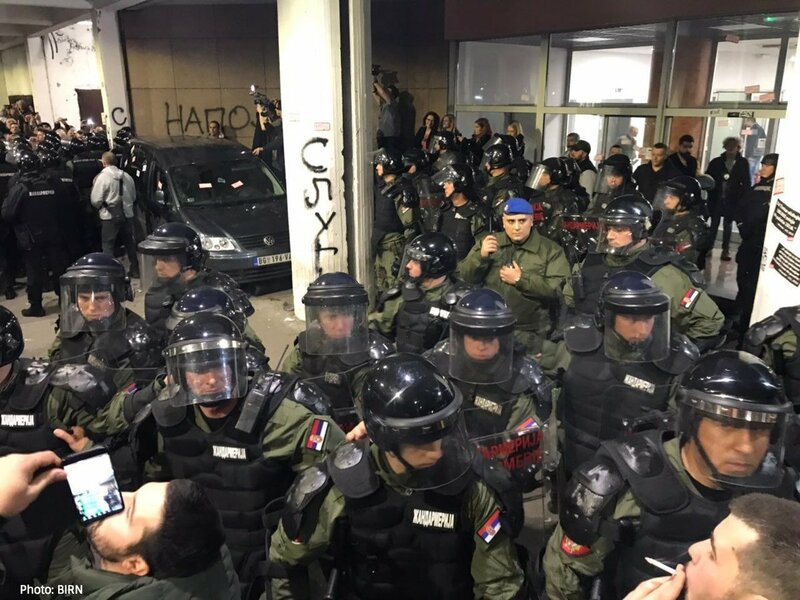 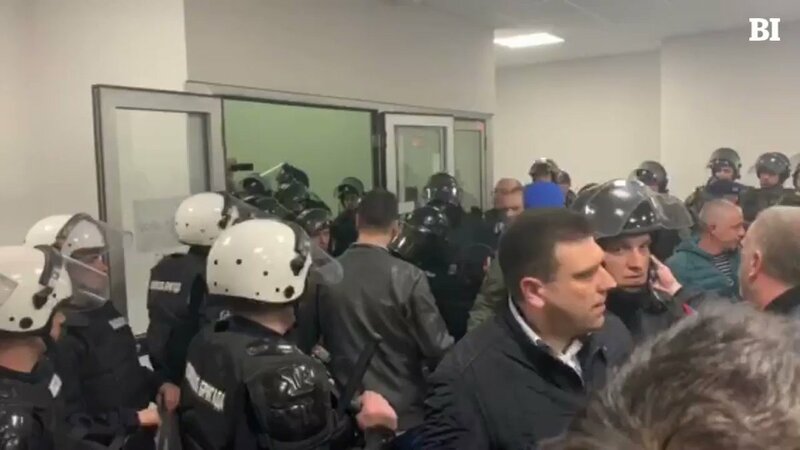 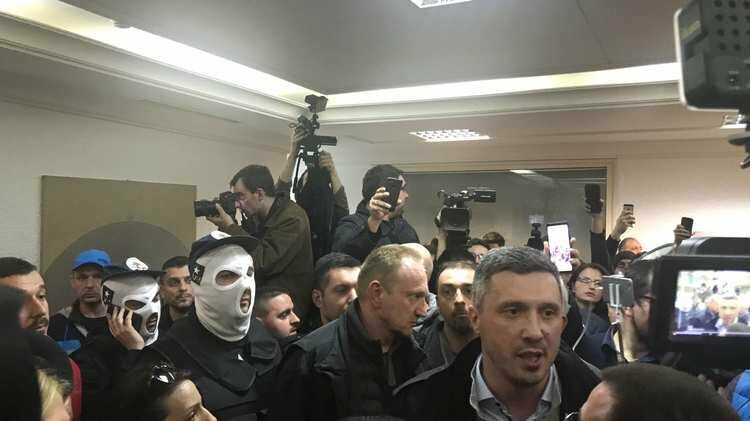 After anti-govt demonstrators tried to break into Albania's parliament in Tirana, police let off tear gas and fired water cannons at the crowd. 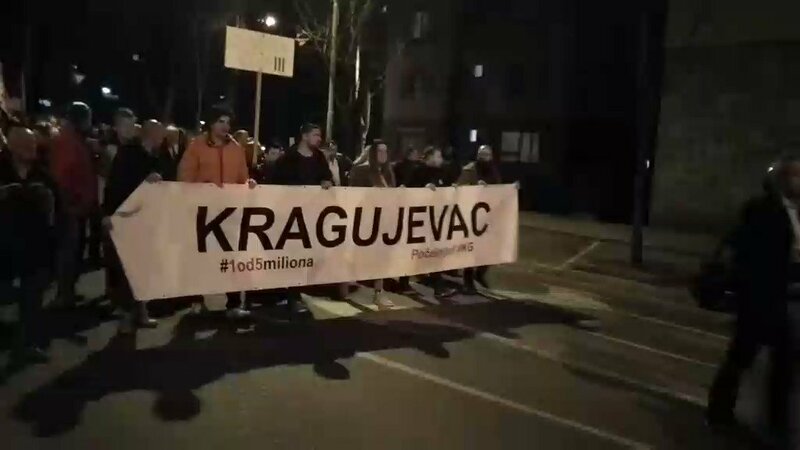 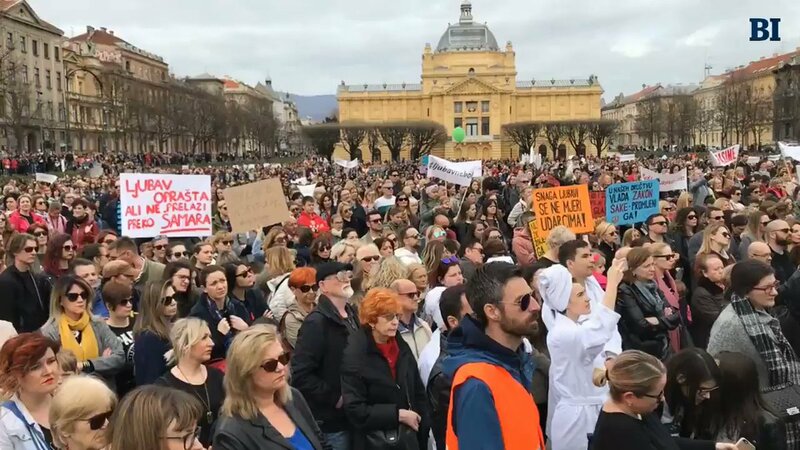 Thousands joined today's protest against domestic violence in Croatia's capital, Zagreb, today. 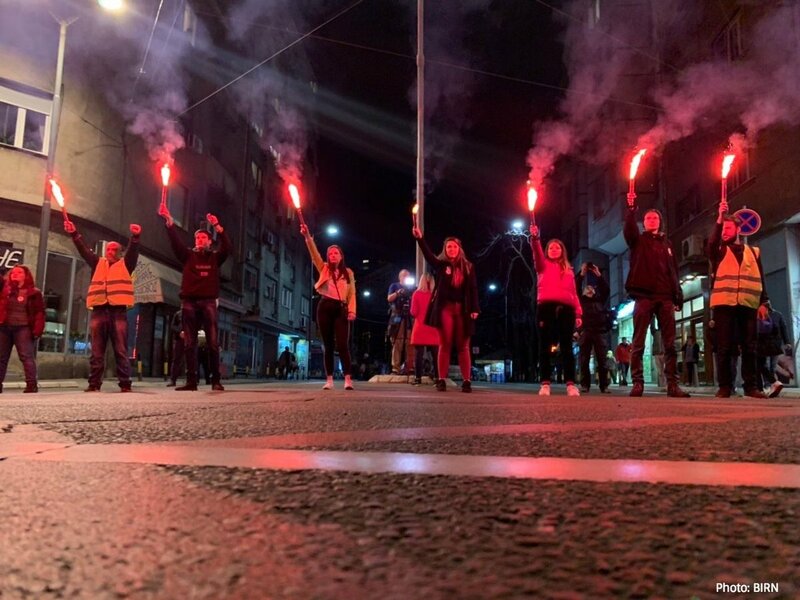 Solidarity protests also took place in Dubrovnik and Split. 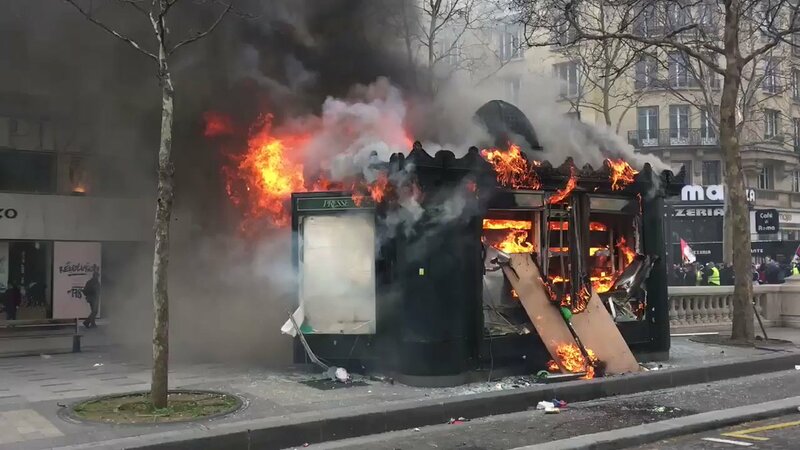 A newsstand currently on fire on the Champs-Elysees. 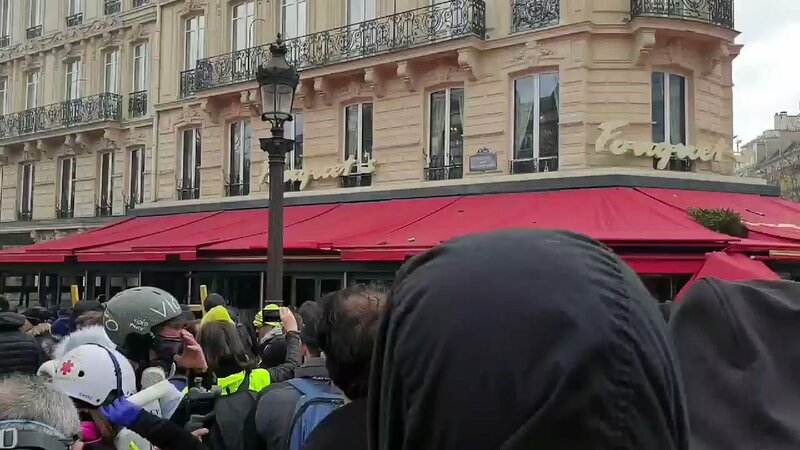 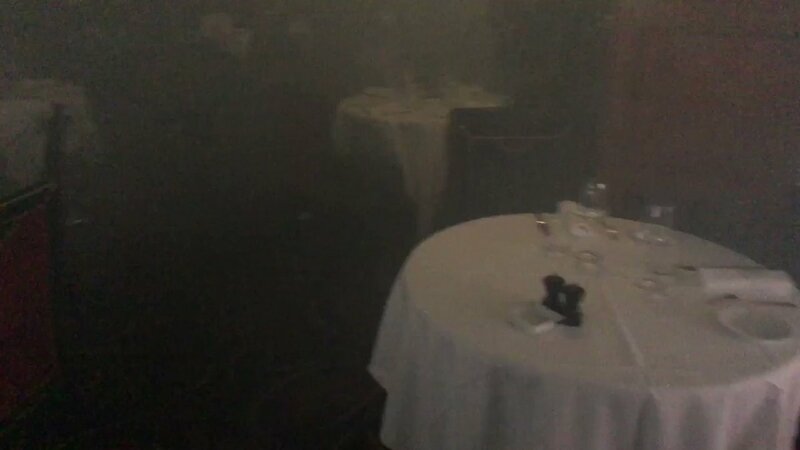 "Yellow Vests"
Paris - The Fouquet restaurant was looted and fire started inside. 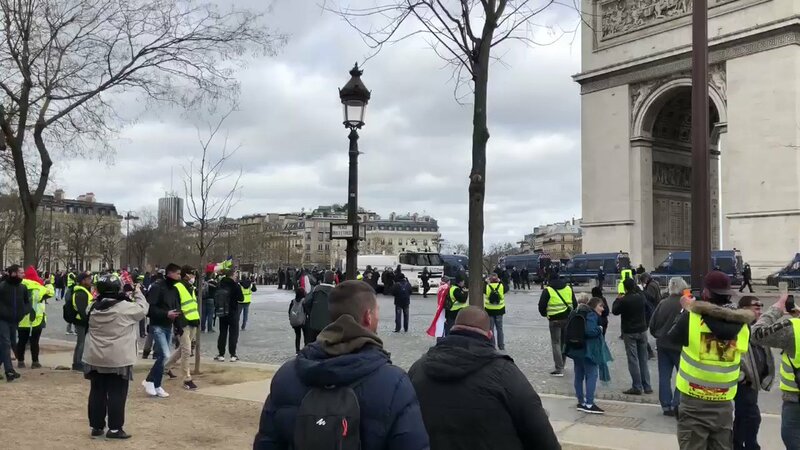 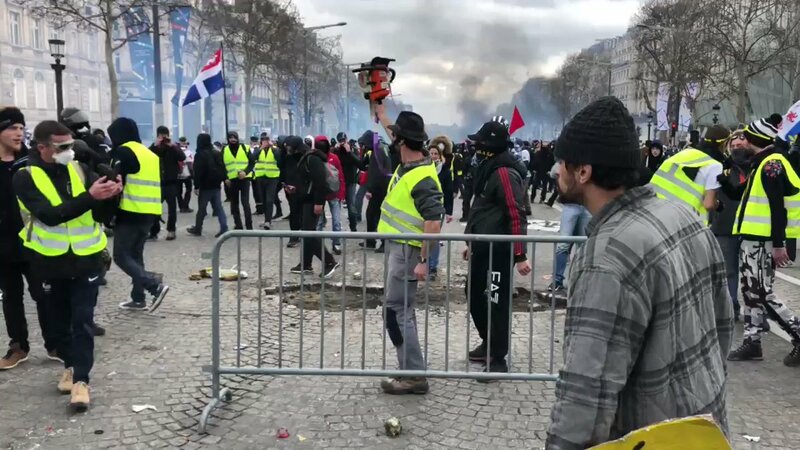 "Yellow Vests"
Paris - Tensions ongoing on the Champs Elysees: an individual is armed with a piece of chainsaw. 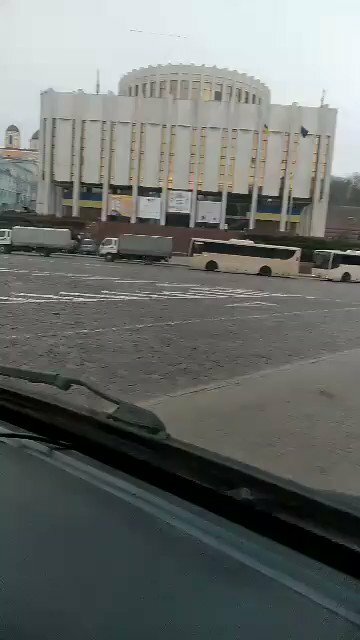 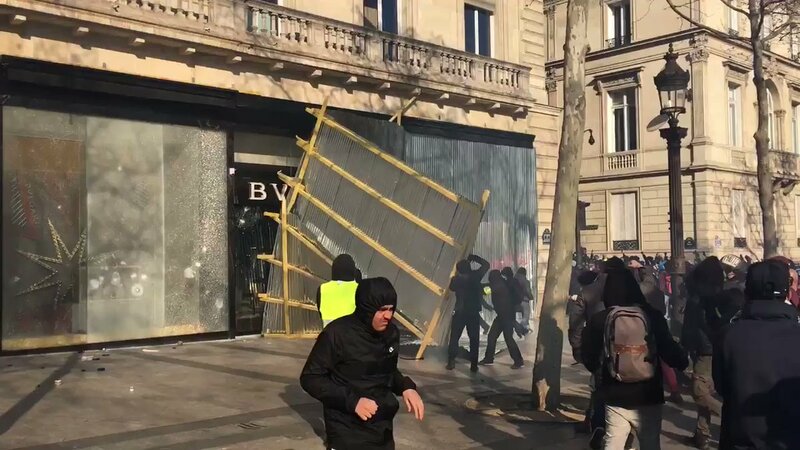 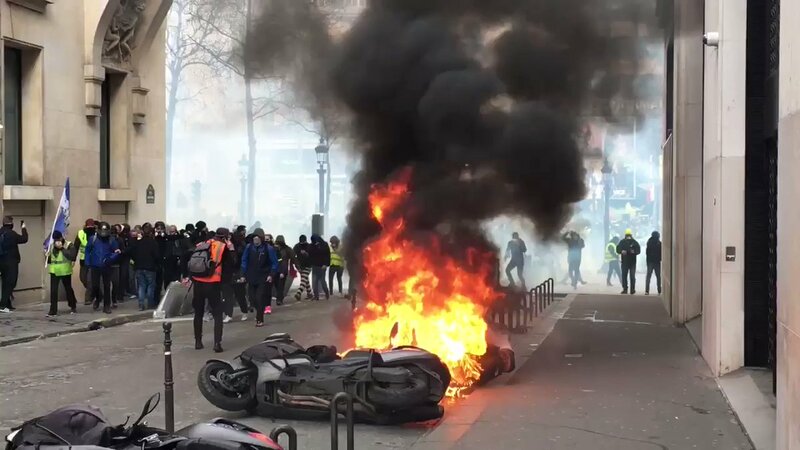 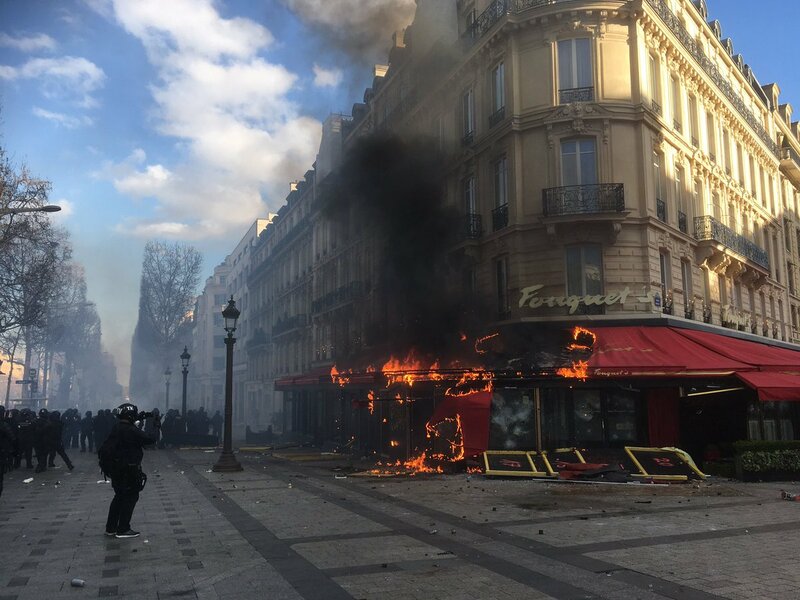 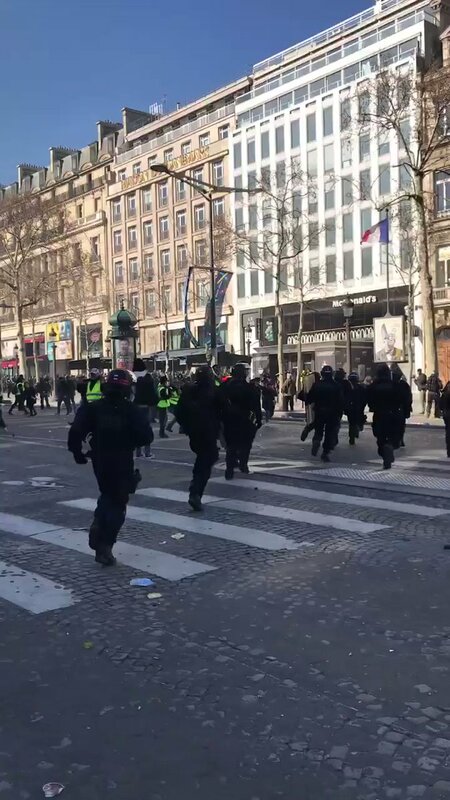 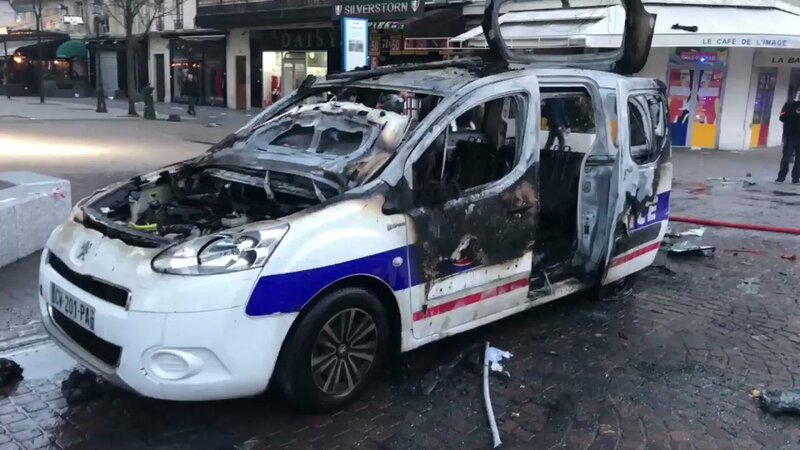 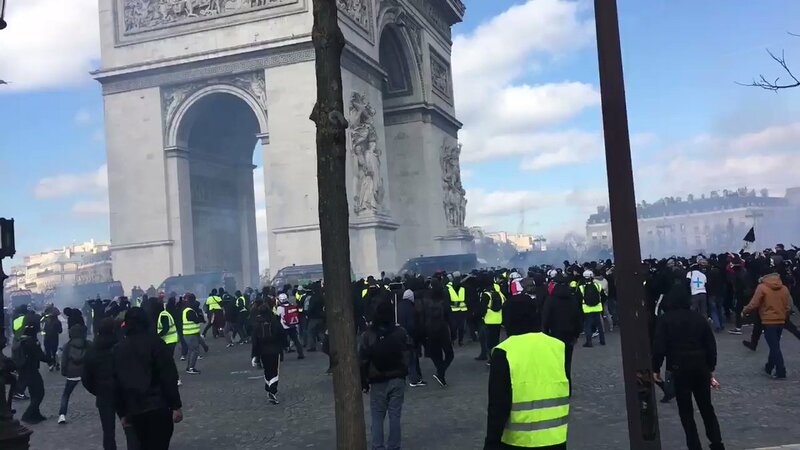 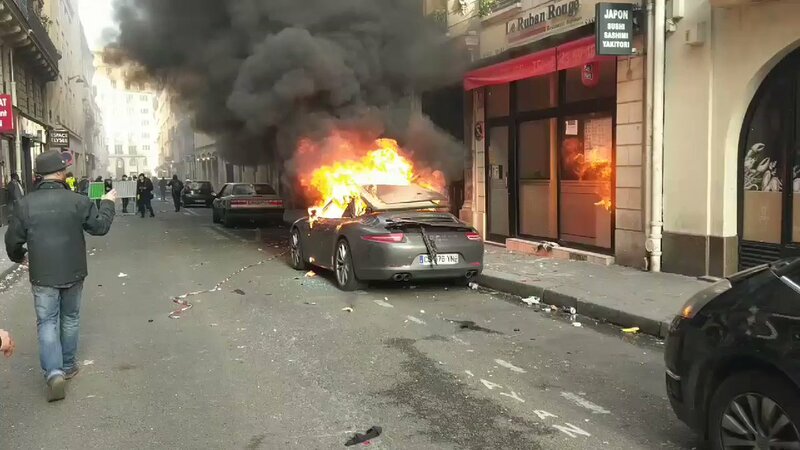 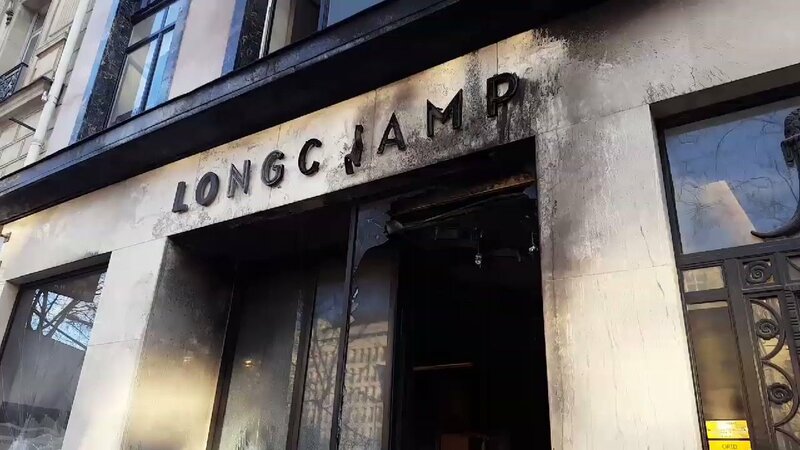 "Yellow Vests"
Many shops on the Champs-Elysées are ransacked and destroyed. 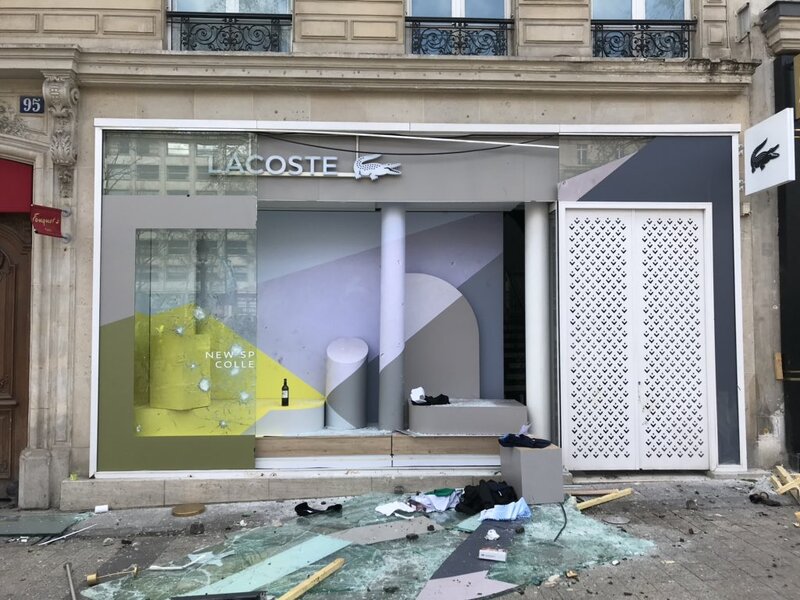 Several looted shops. 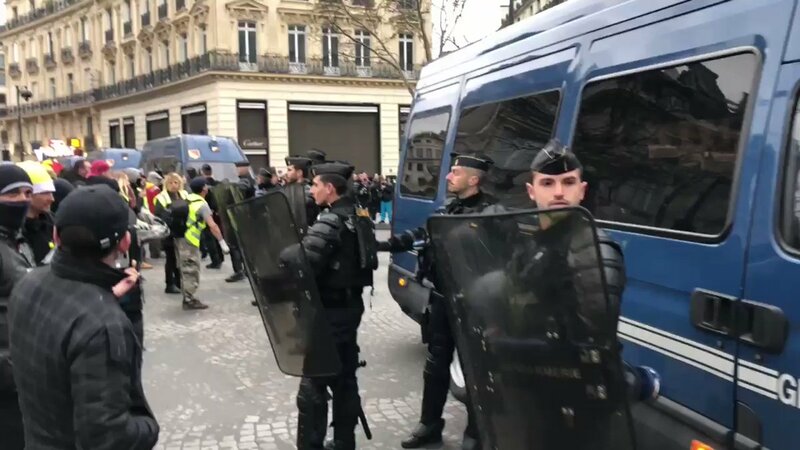 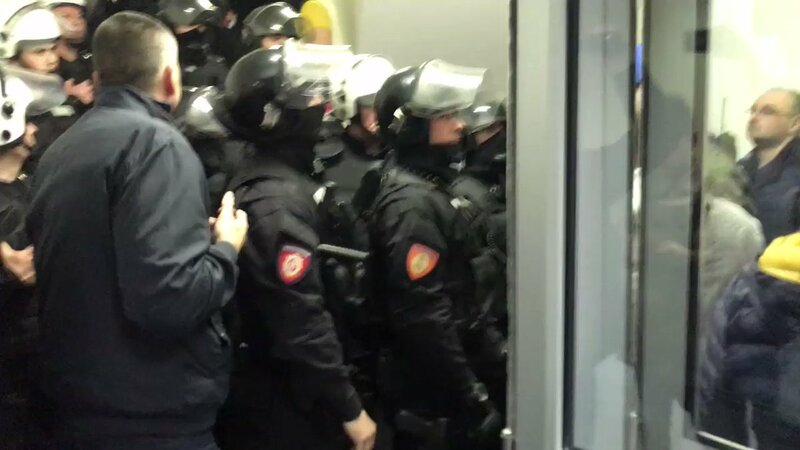 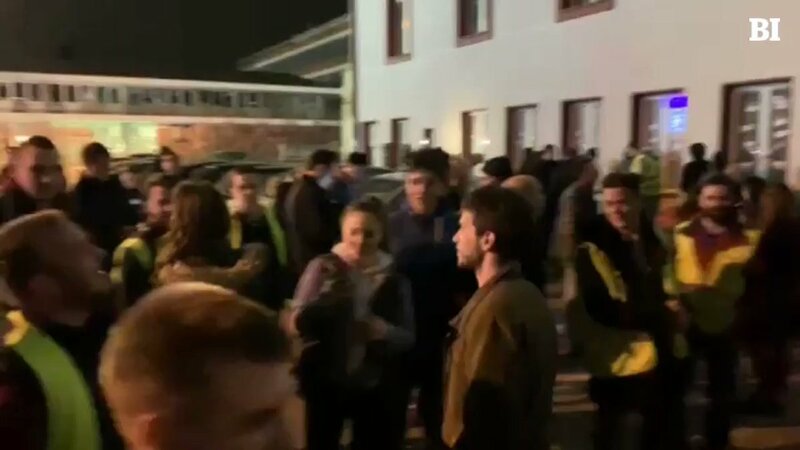 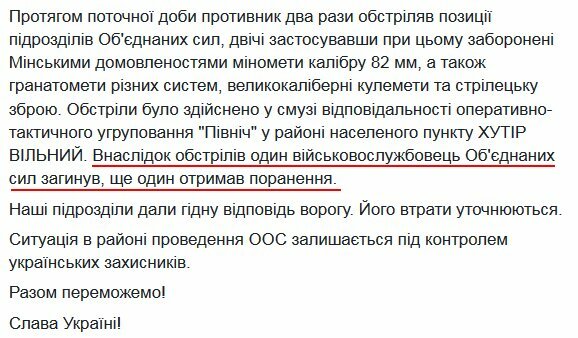 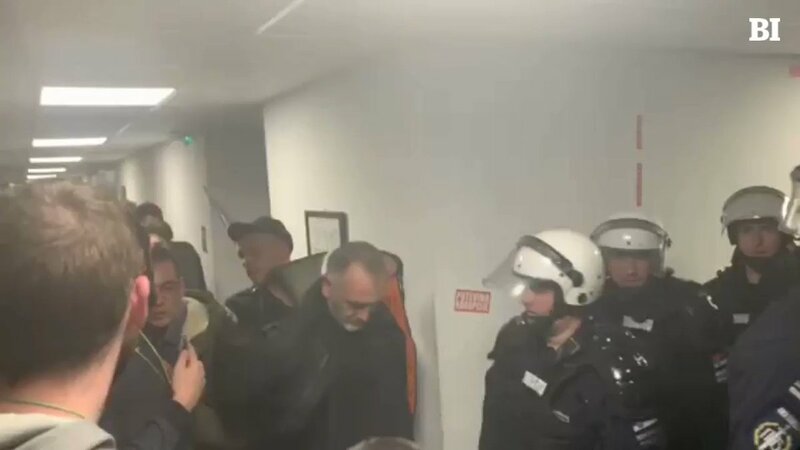 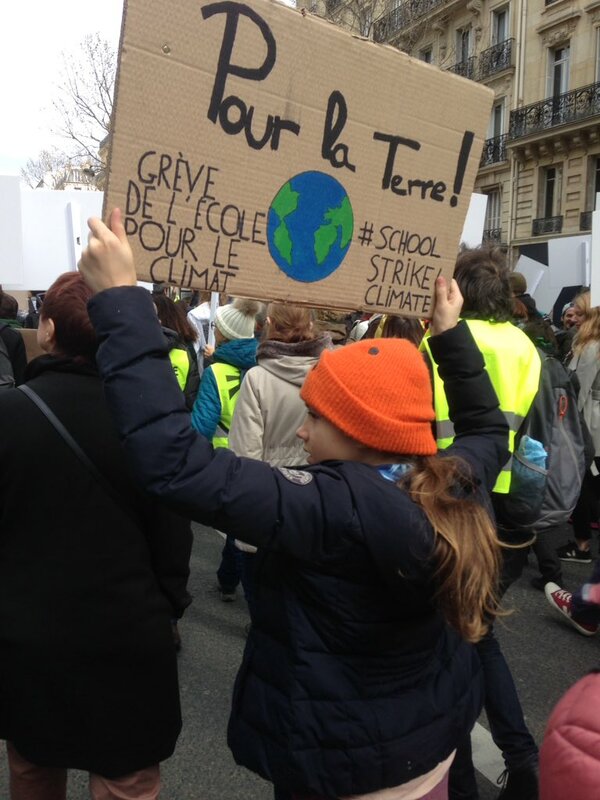 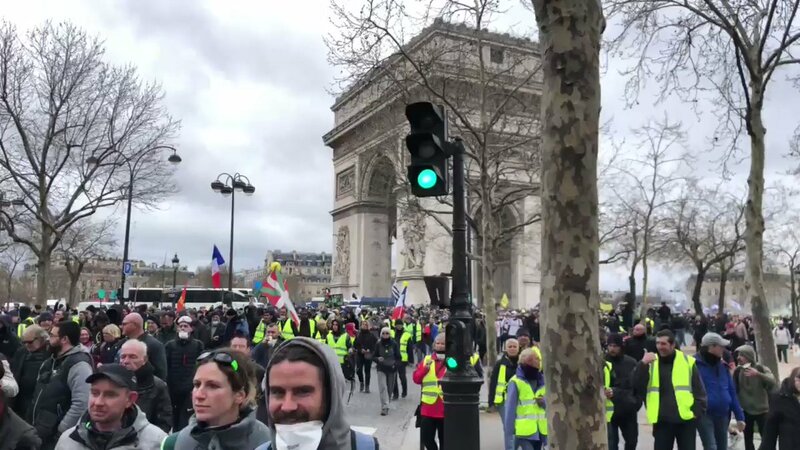 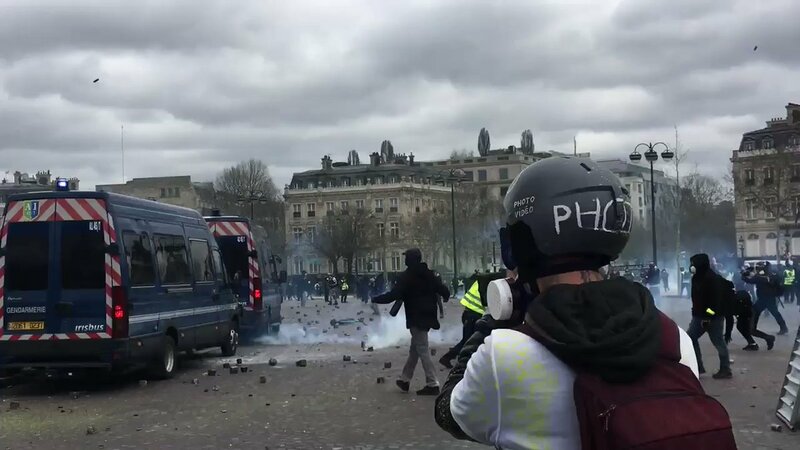 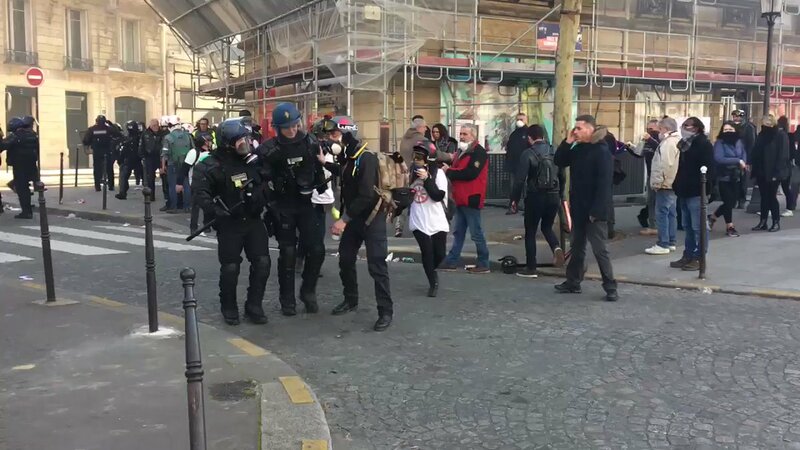 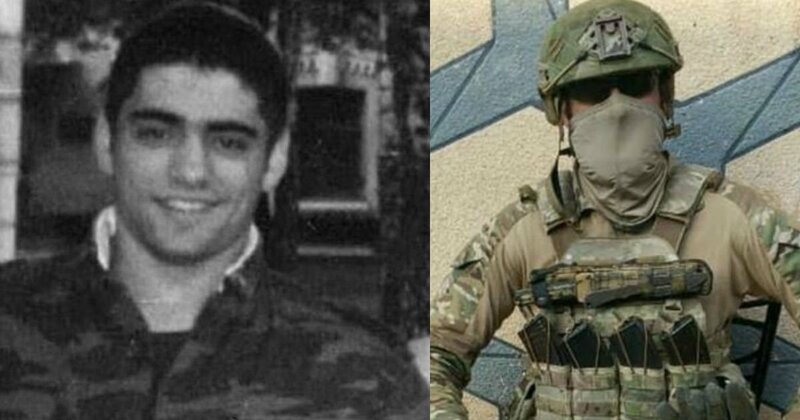 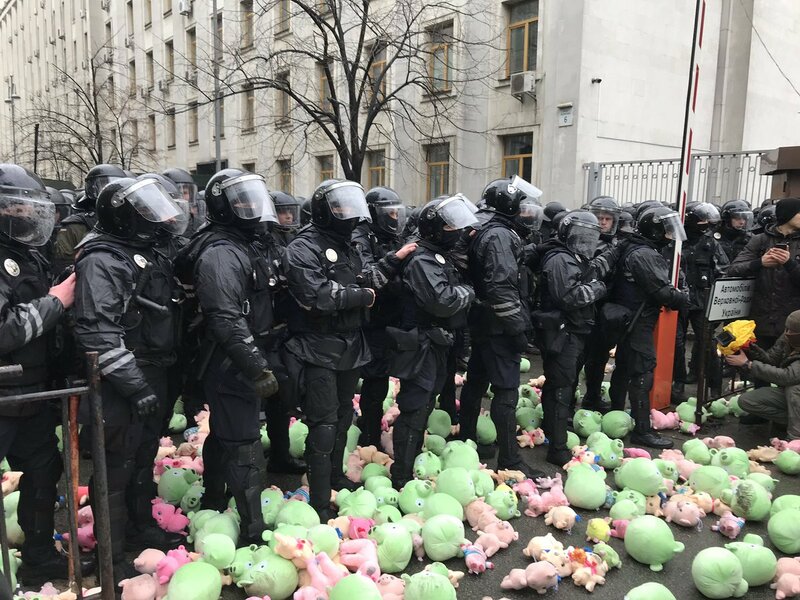 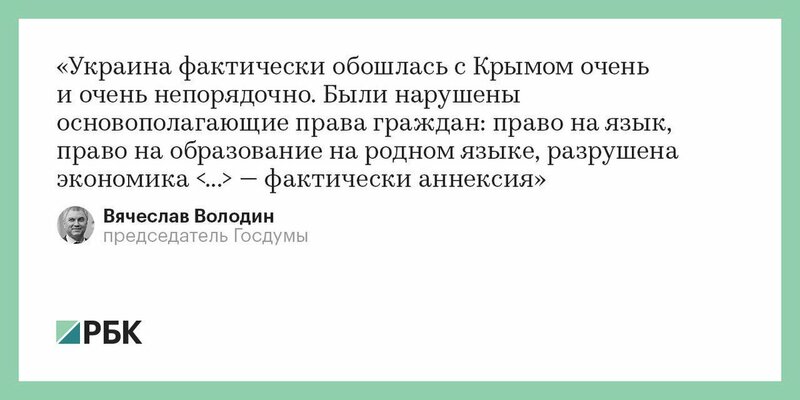 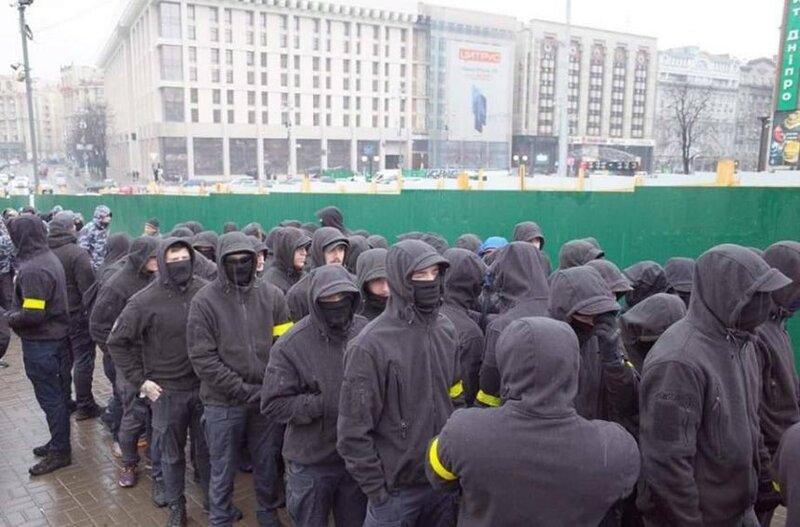 "Yellow Vests"
"Vests yellow": 44 arrests in Paris, Christophe Castaner denounces "professionals of the case"
Police used water cannon to disperse "Yellow Vests"
Paris - The "Yellow Vests" are already on the Champs Elysees: some tensions, the gendarmes make dams. 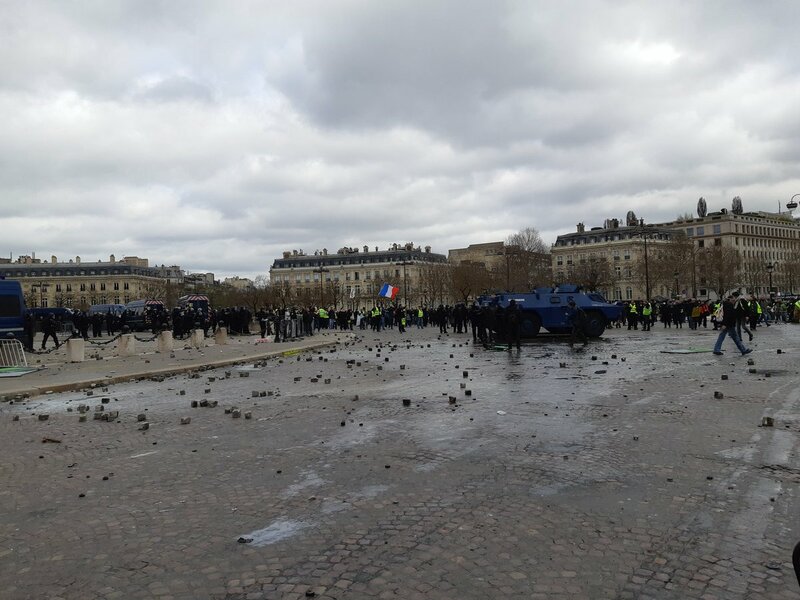 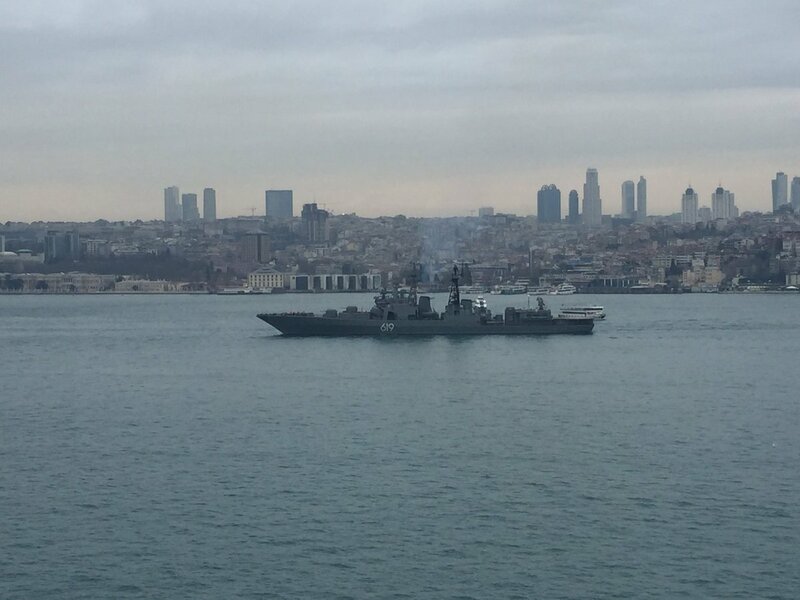 Water cannon deployed but not used. 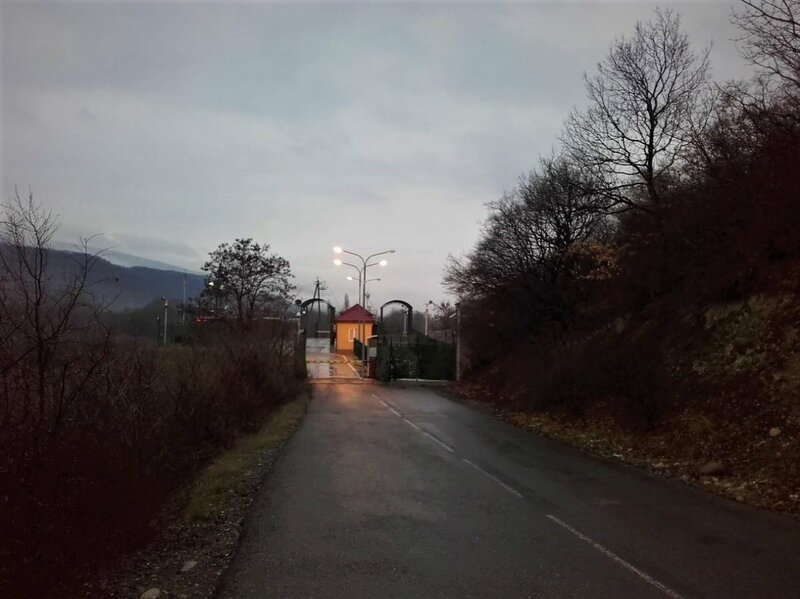 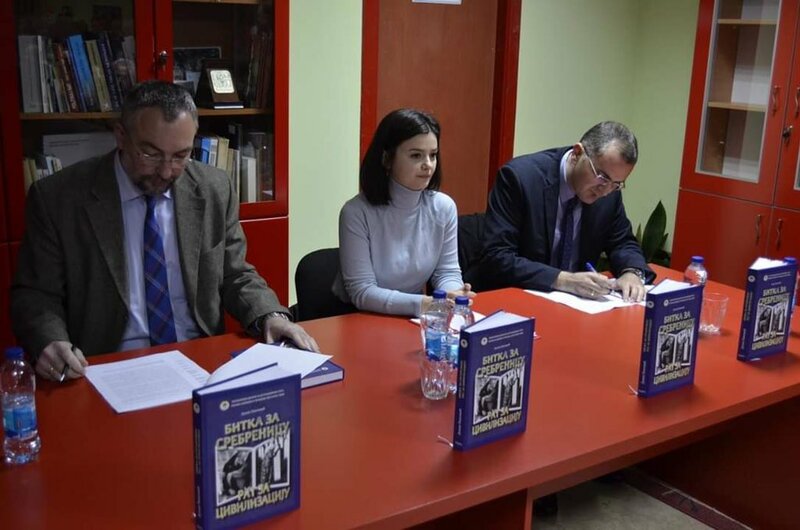 Last night in Srebrenica, genocide denier Dusan Pavlovic held his book launch. 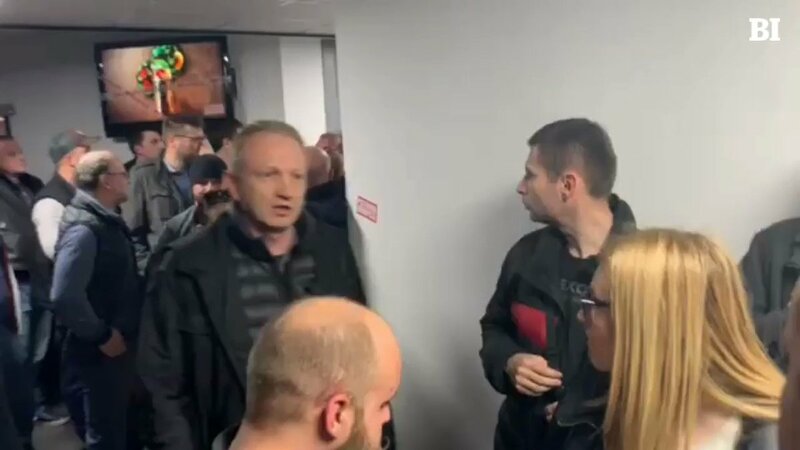 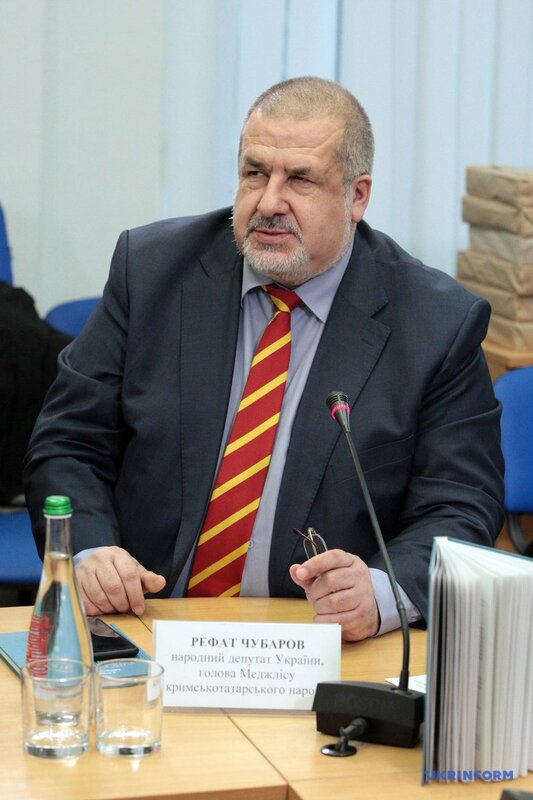 One man, Nedzad Avdic, survivor of the Petkovci dam massacre, came to the book launch and confronted him. 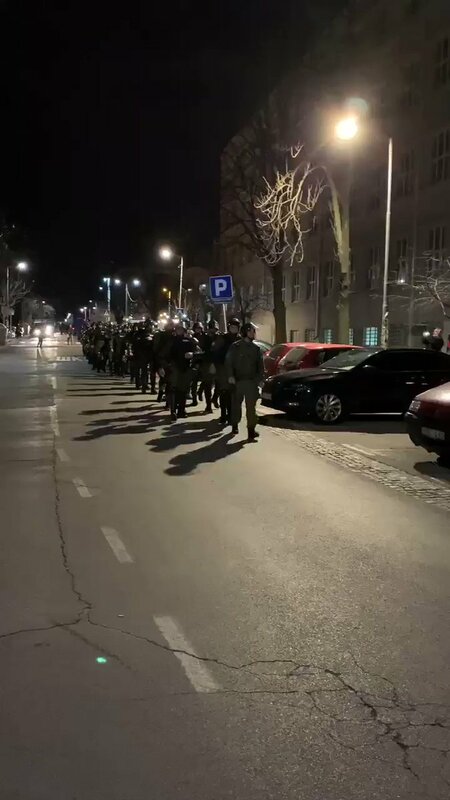 Protesters in Budapest yelling "democracy." 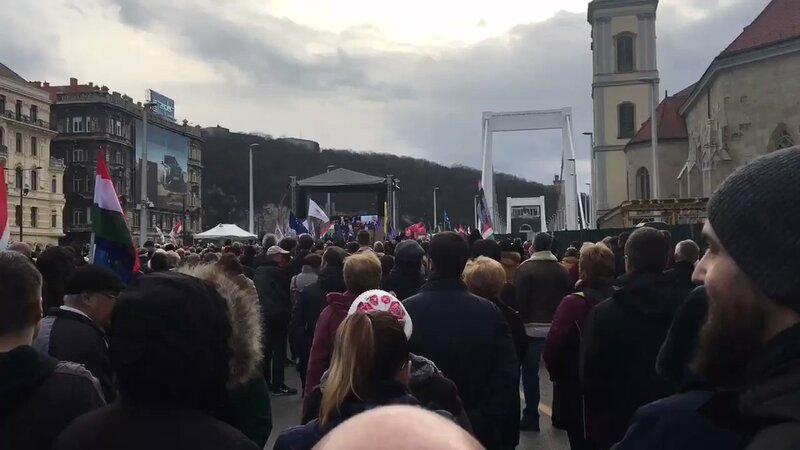 EU anthem playing in Hungarian opposition's joint protest. 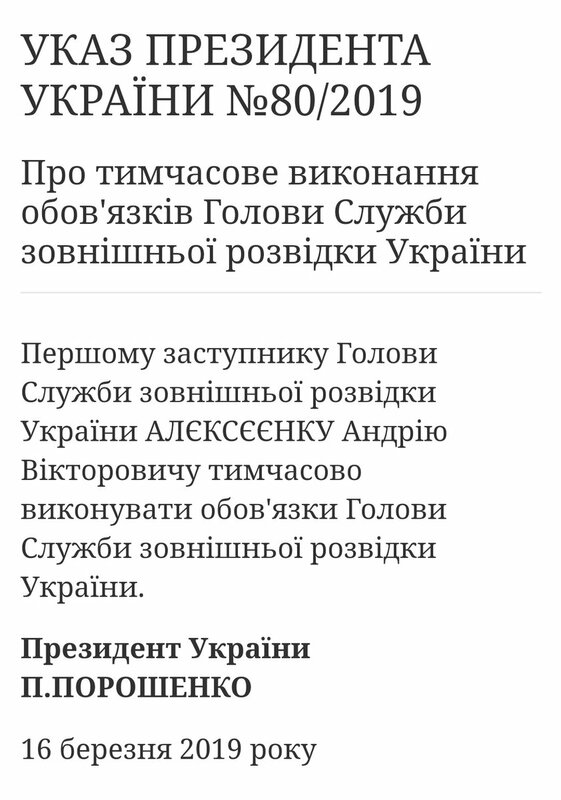 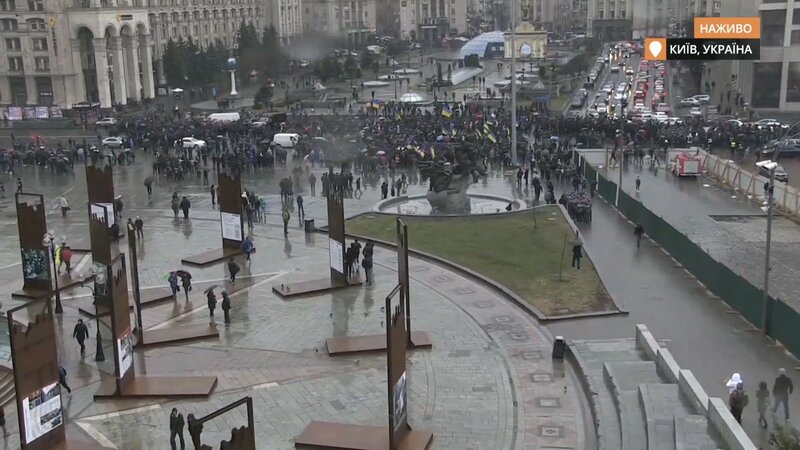 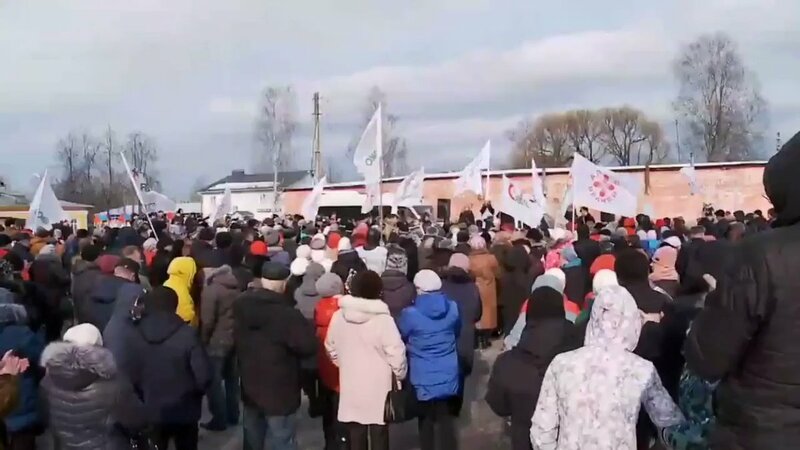 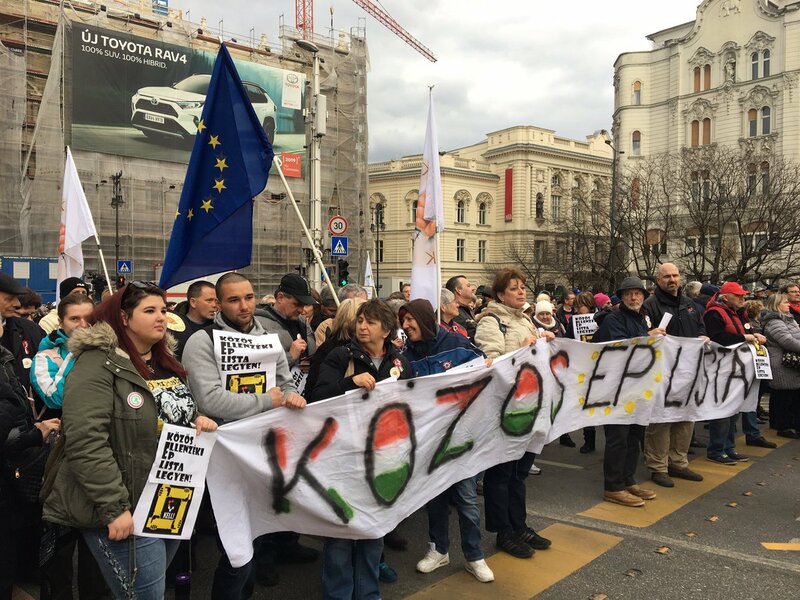 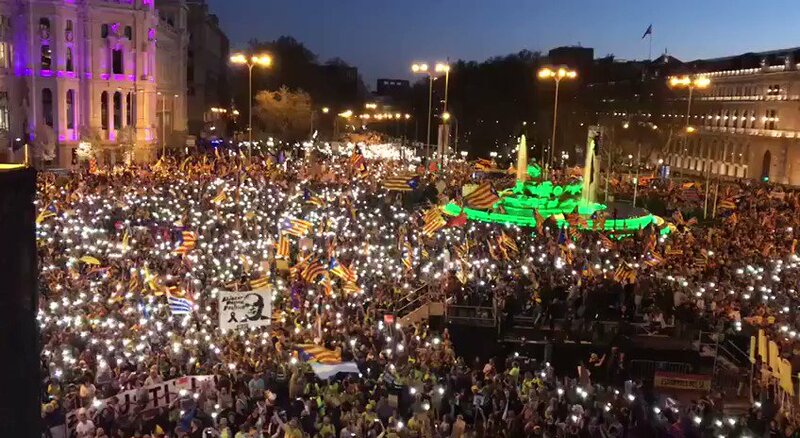 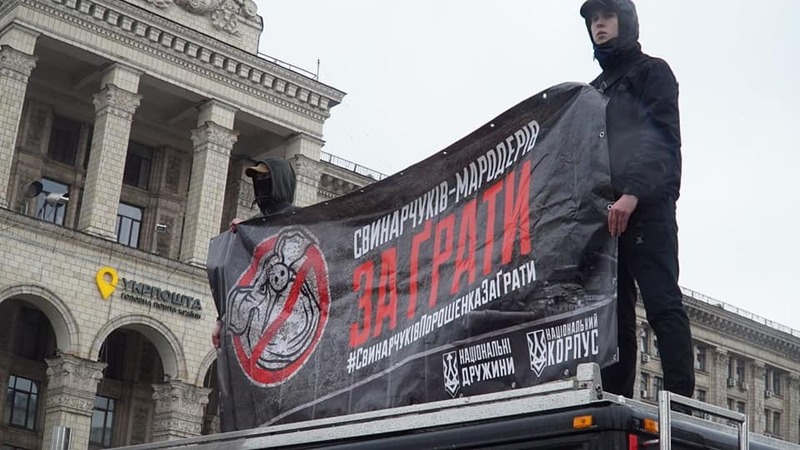 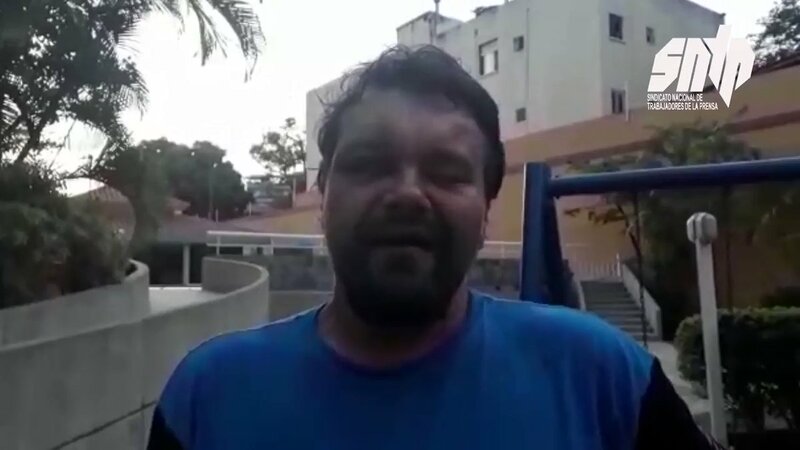 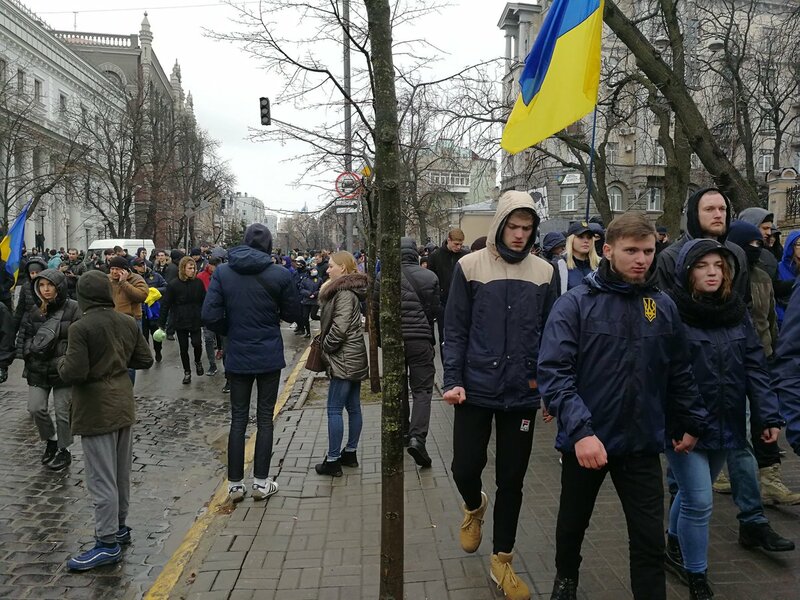 There protesters are calling for a joint opposition list in the European Parliament election. 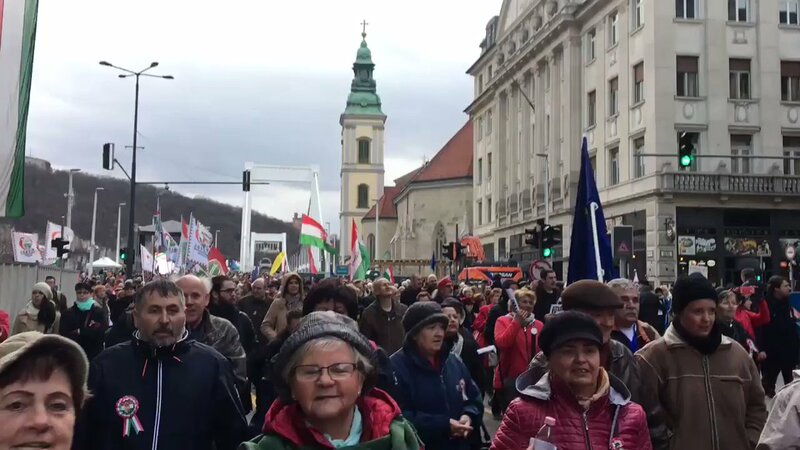 Orbán: "Without defending our Christian culture, we are losing Europe". 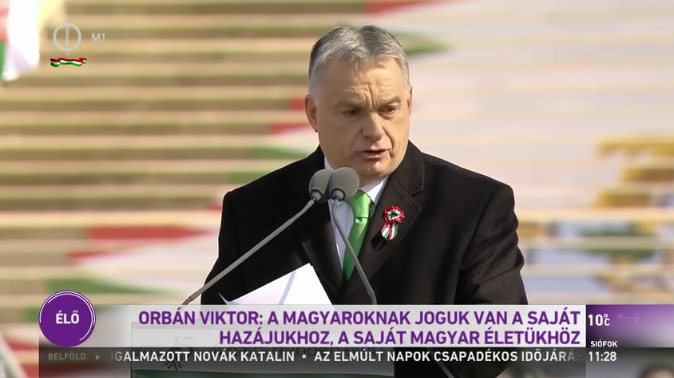 Orbán: "Hungarians have the right to their homeland, to their own Hungarian life."